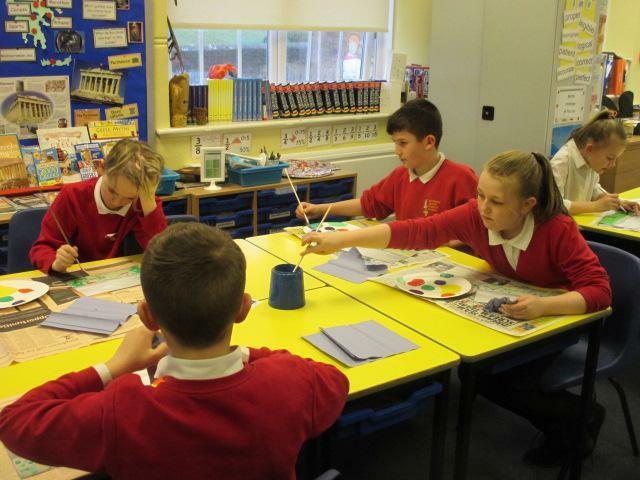 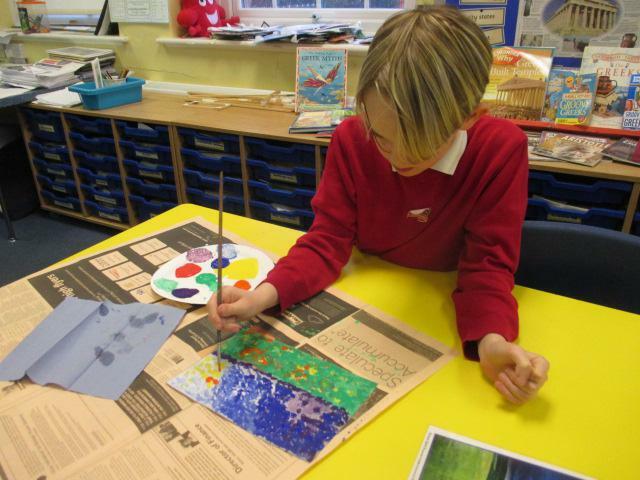 Year 6 investigated the Impressionist art movement looking at the work of influential artists. 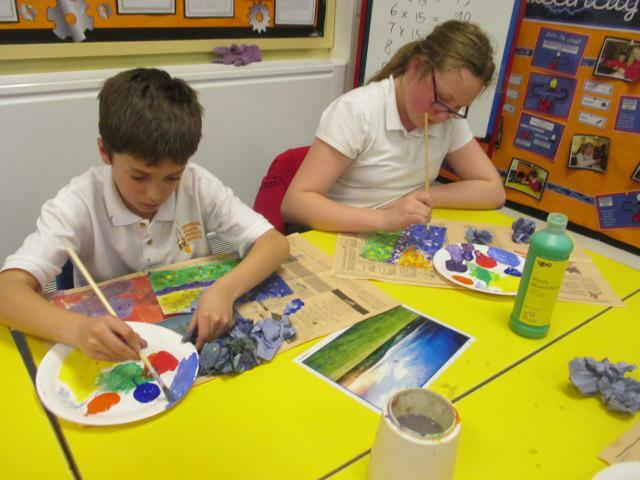 We liked the way they painted light and tried to capture a fleeting moment in time. 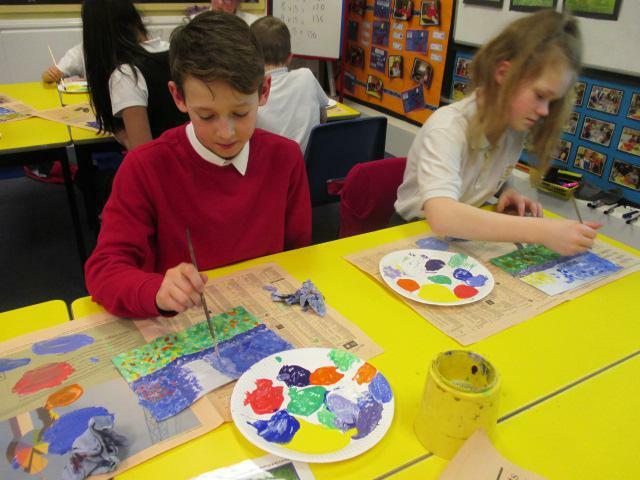 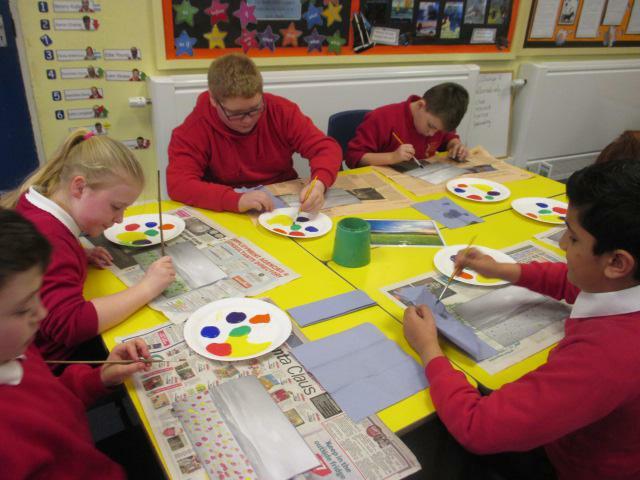 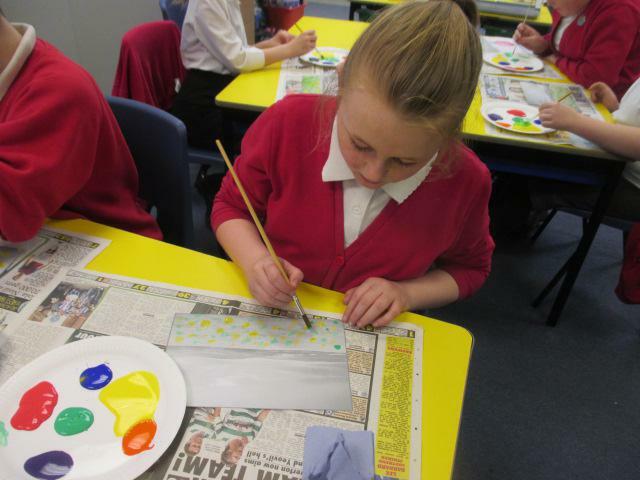 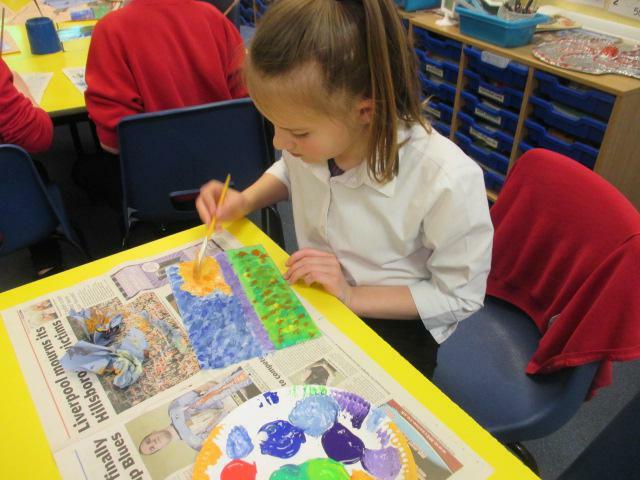 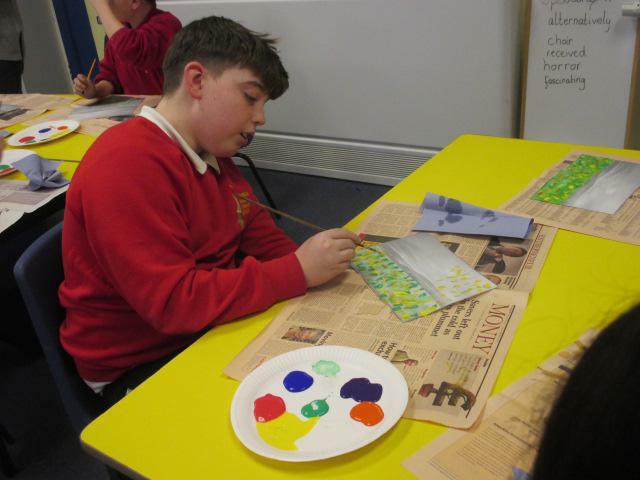 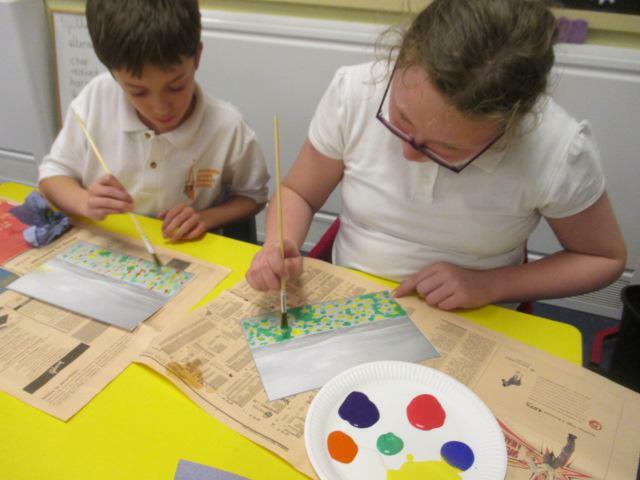 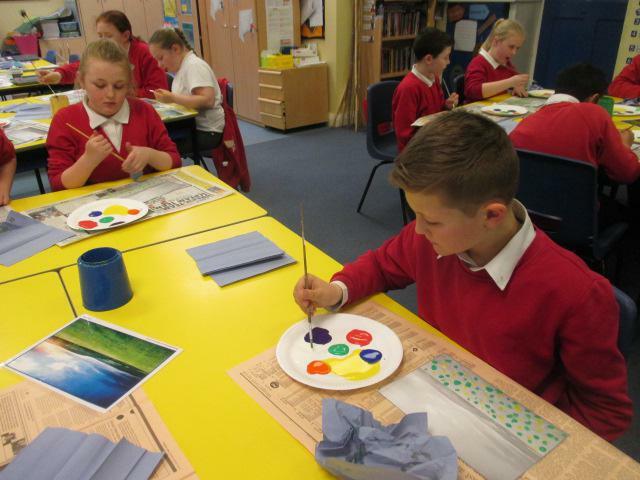 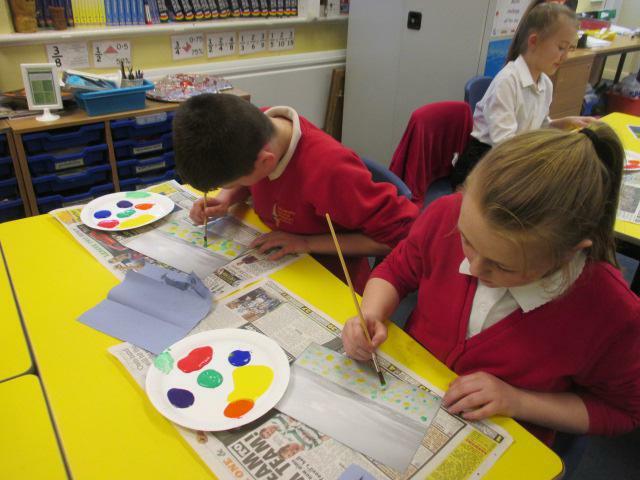 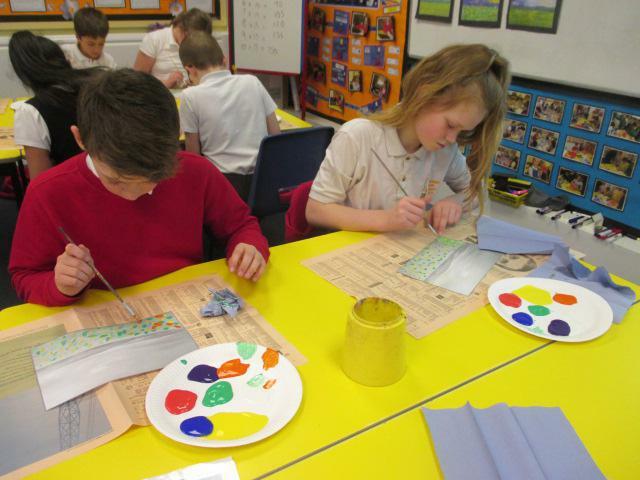 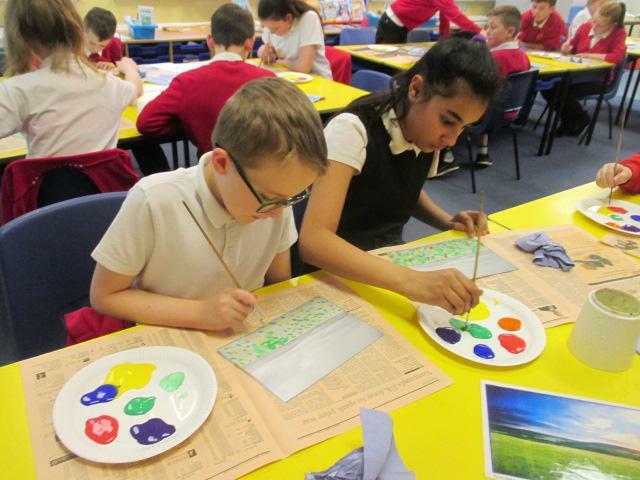 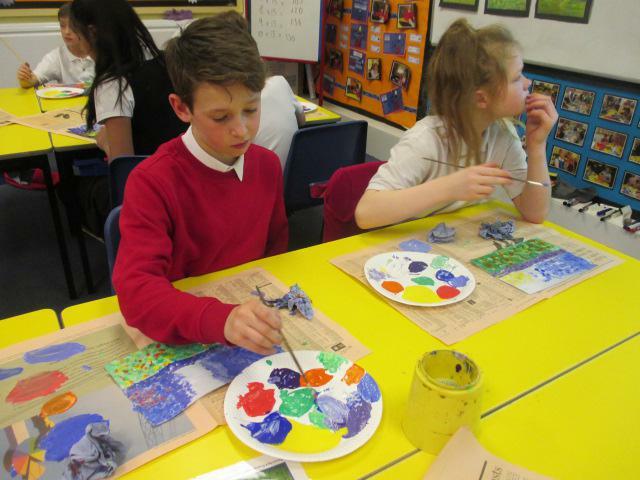 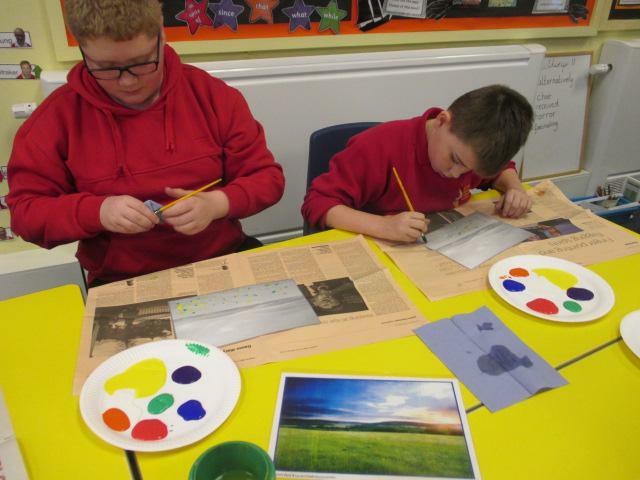 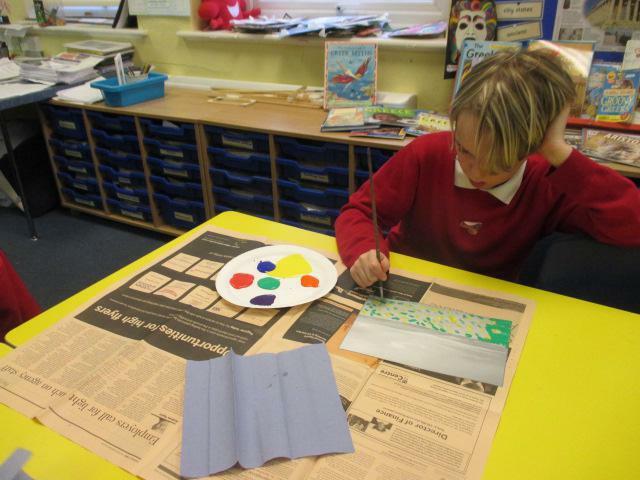 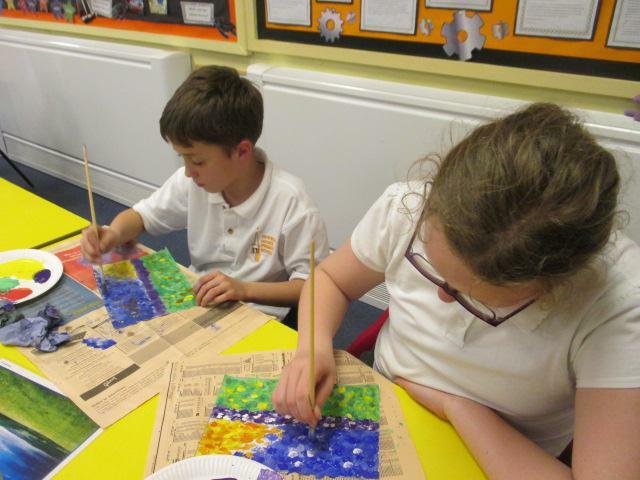 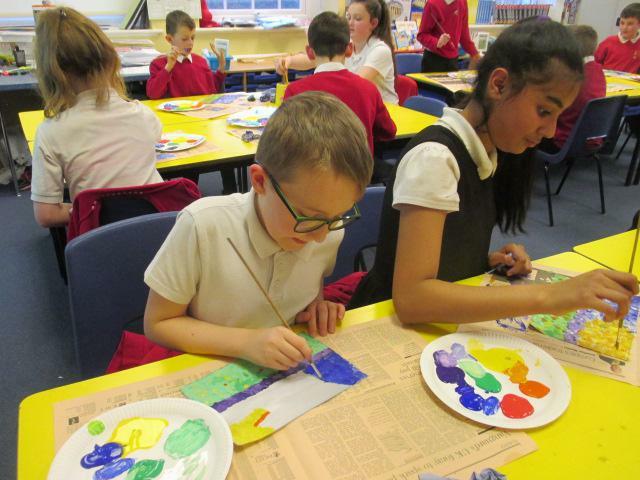 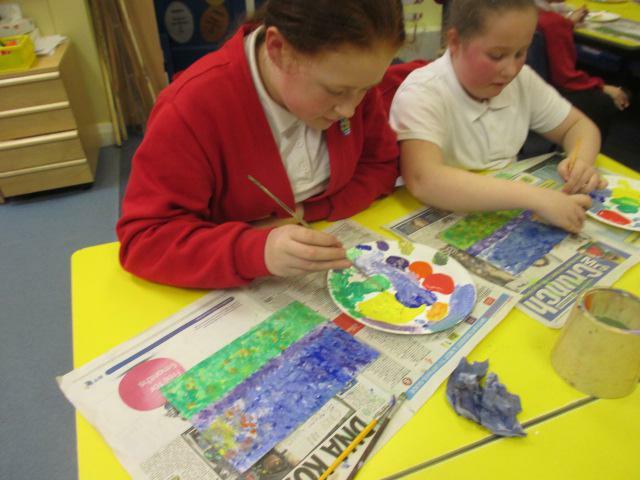 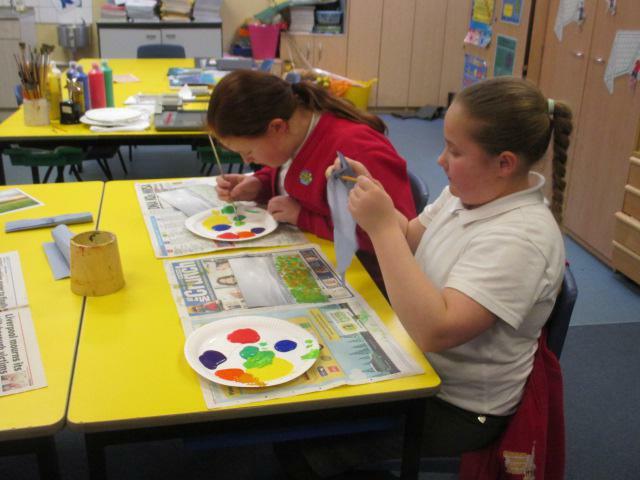 We couldn't wait to have a go at painting a landscape in the style of Claude Monet. 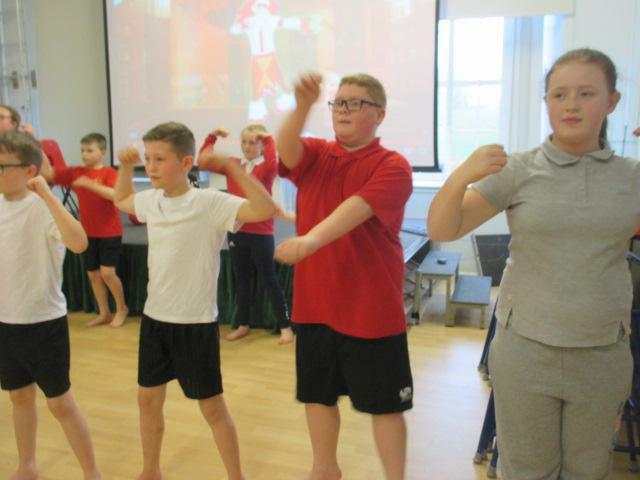 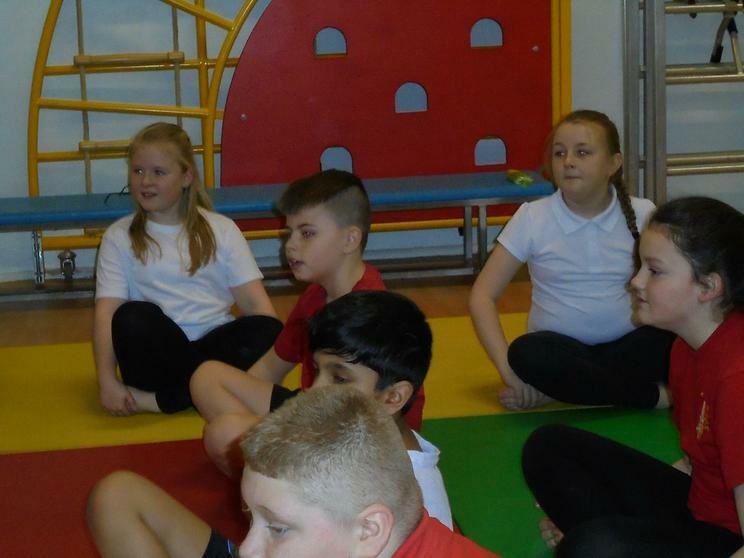 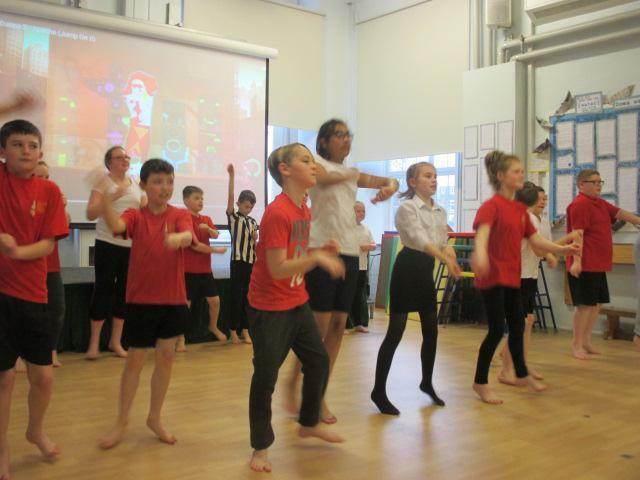 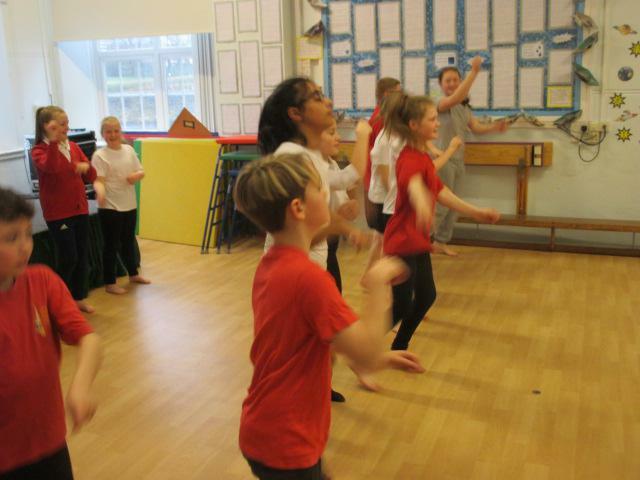 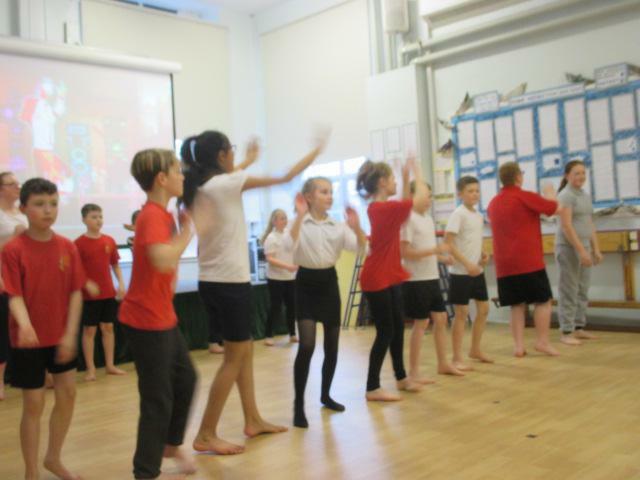 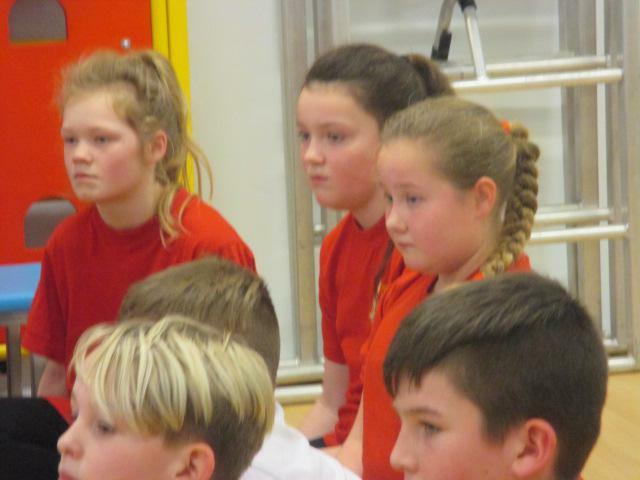 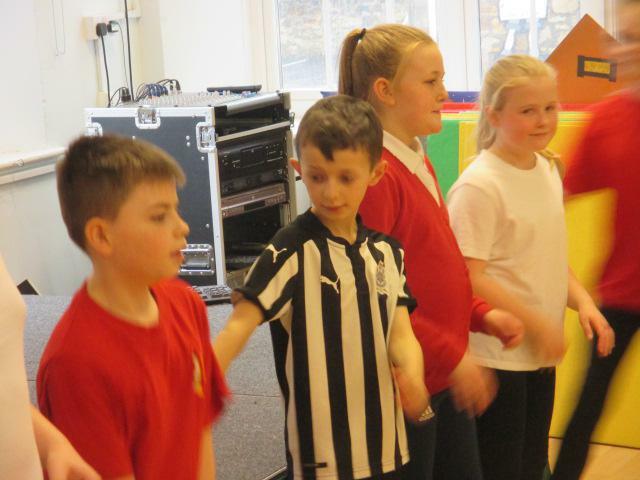 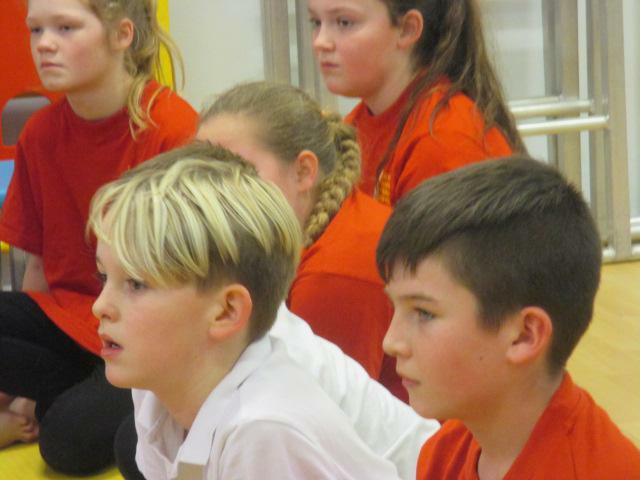 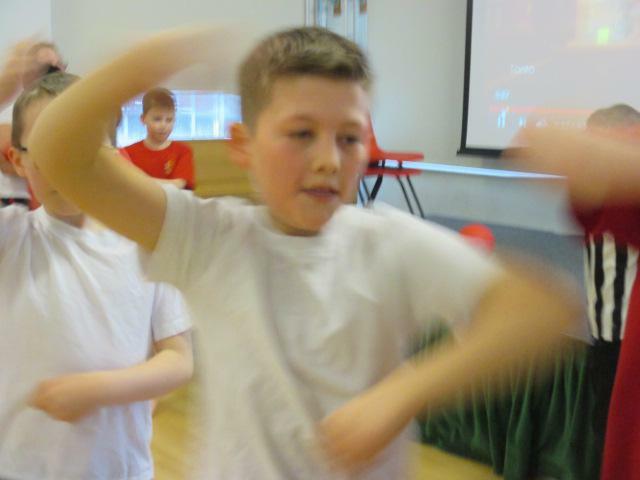 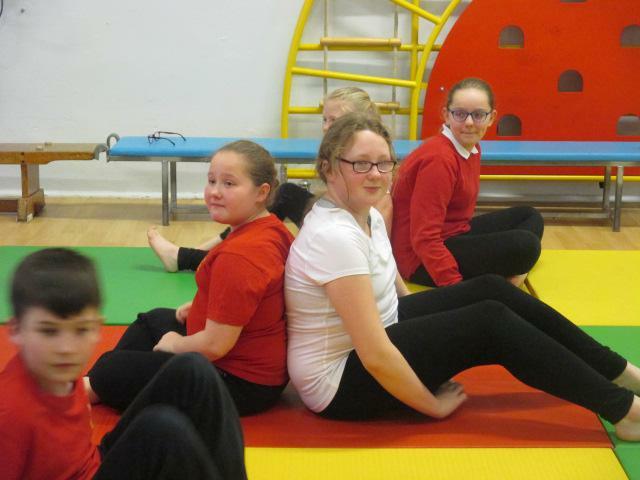 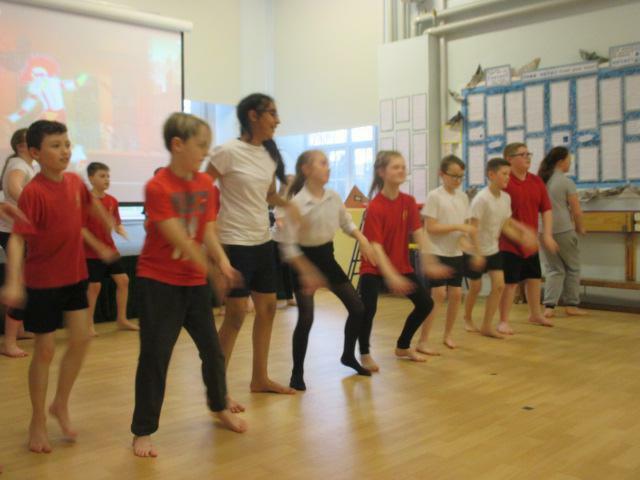 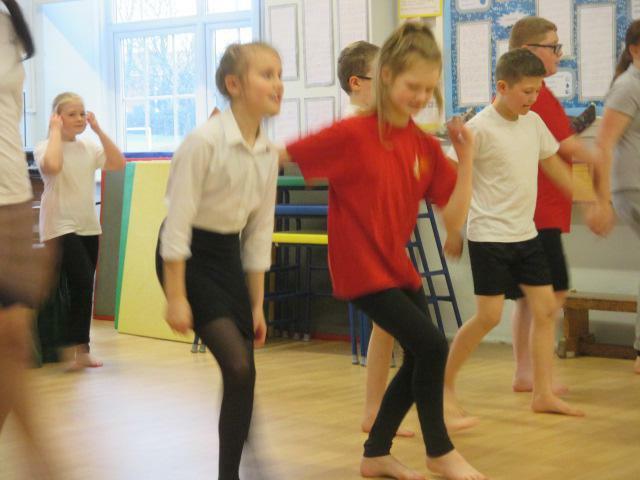 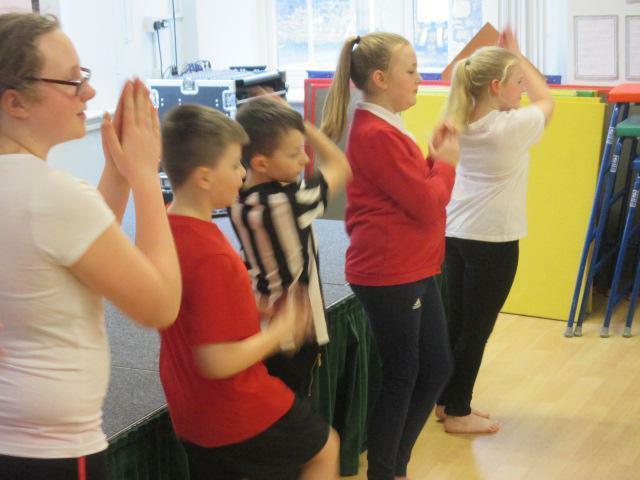 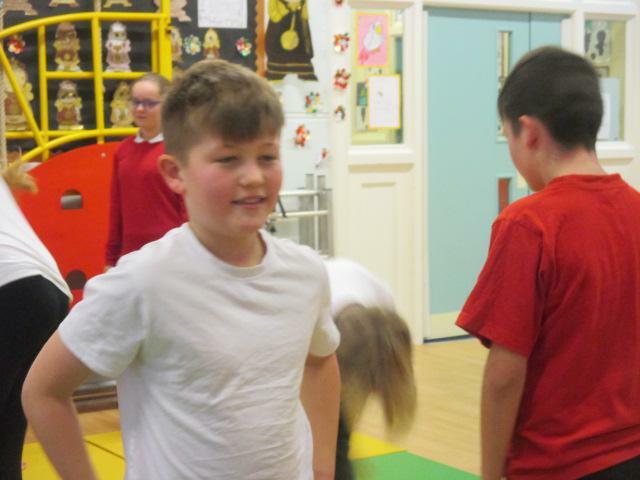 During our PE lessons we are learning a dance to Apache (Jump on it) by The Sugarhill Gang. 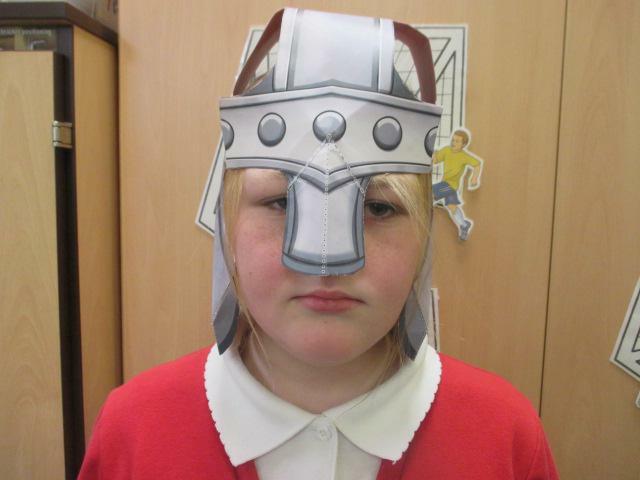 We will be showing the finished performance at the Easter hat parade. 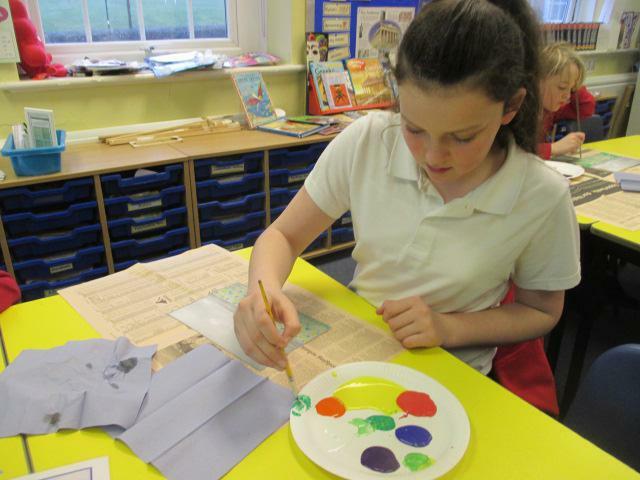 Year 6 used IT to design the exterior decorations of their automatons. 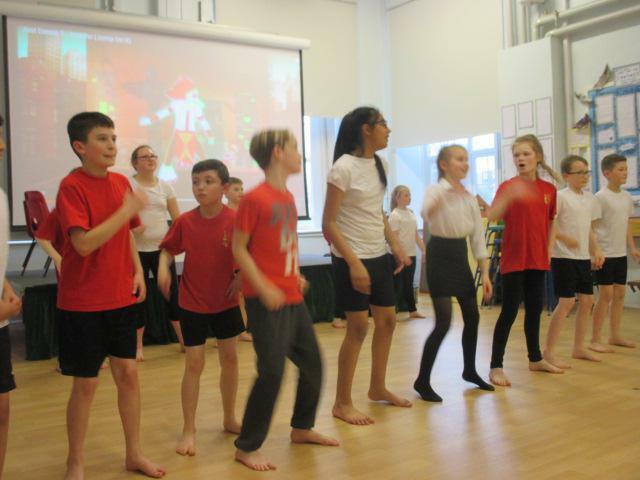 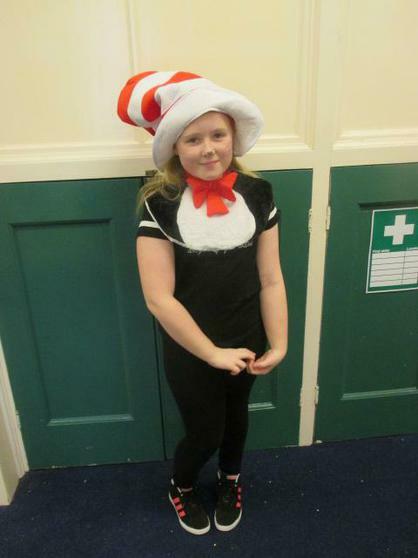 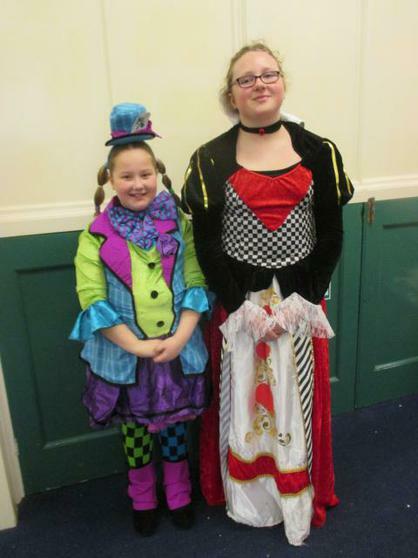 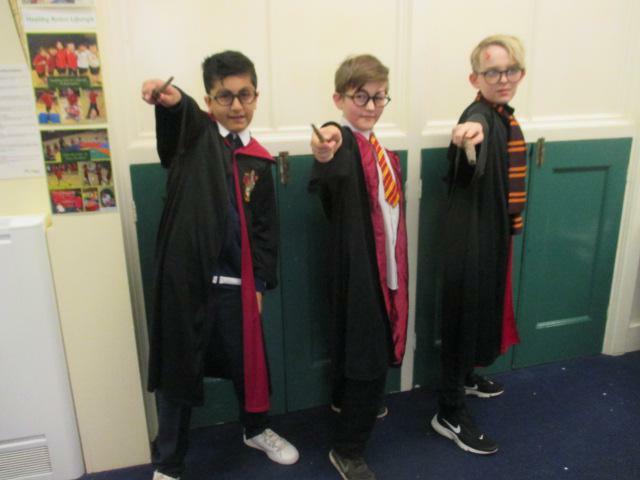 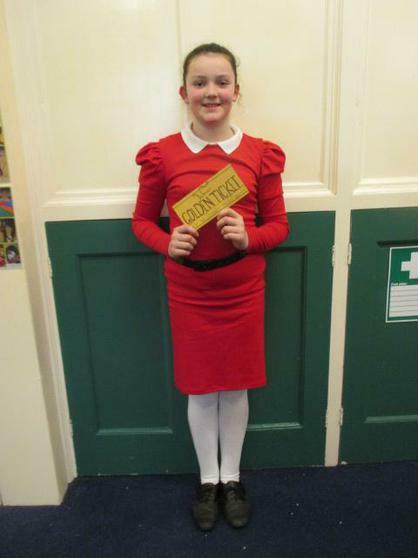 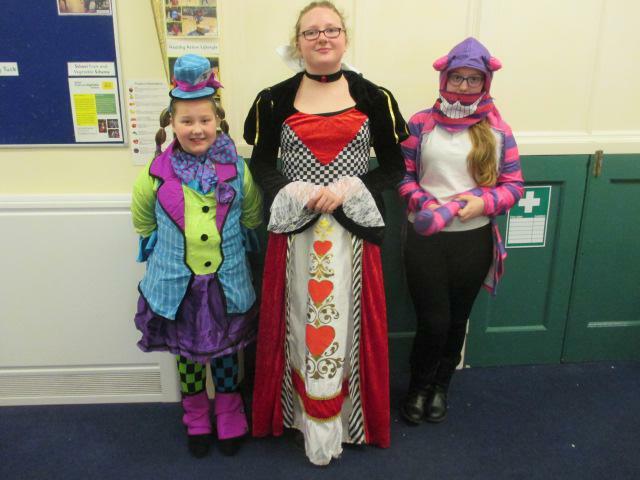 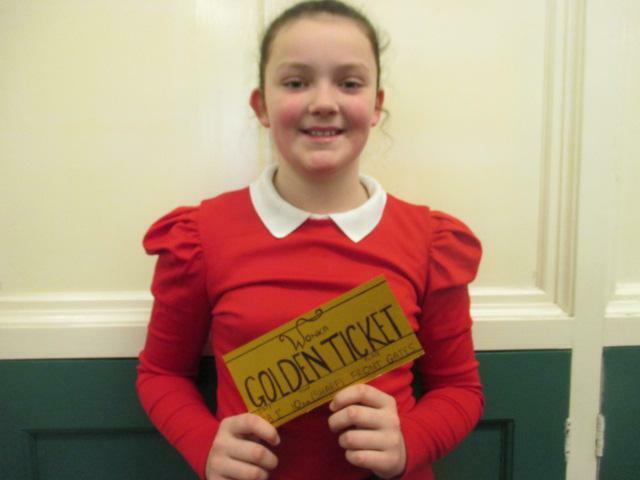 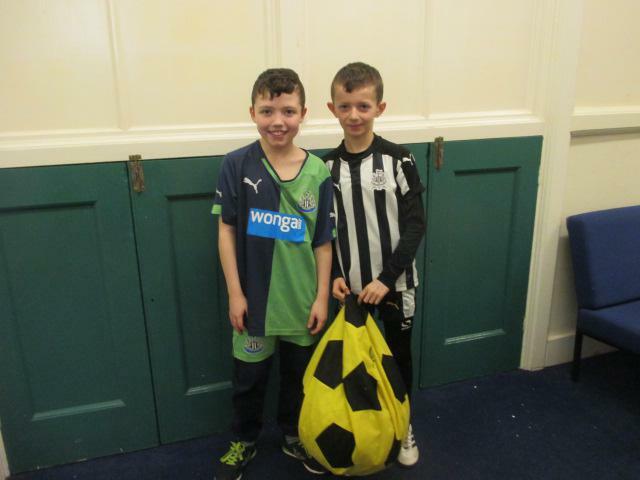 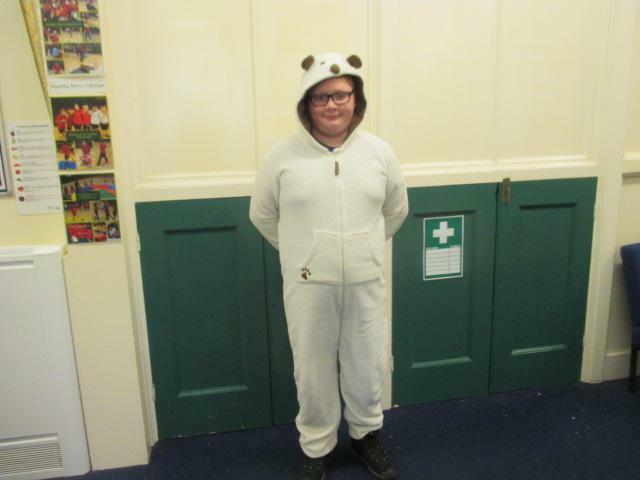 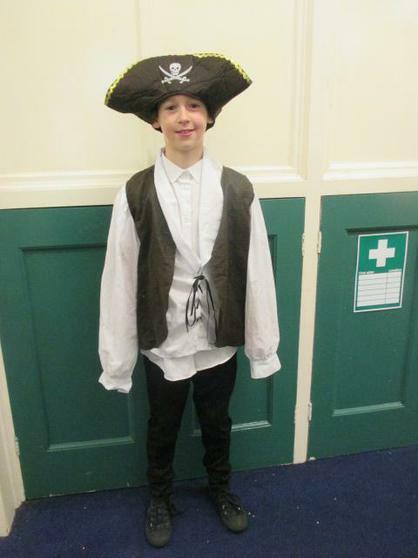 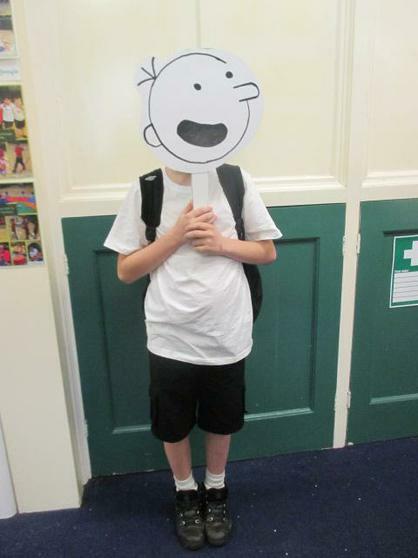 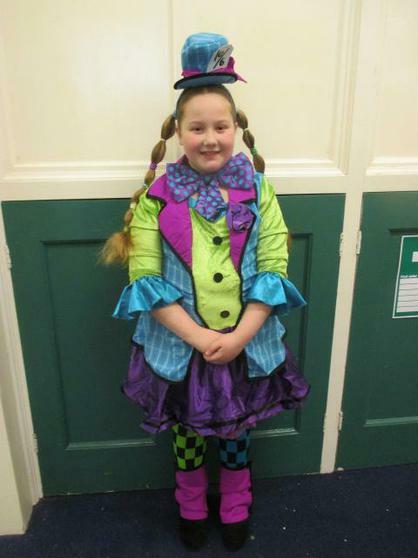 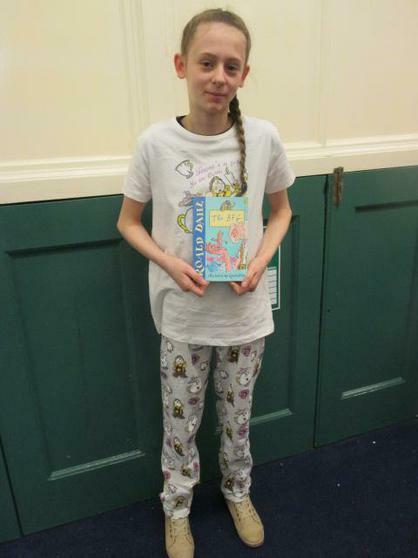 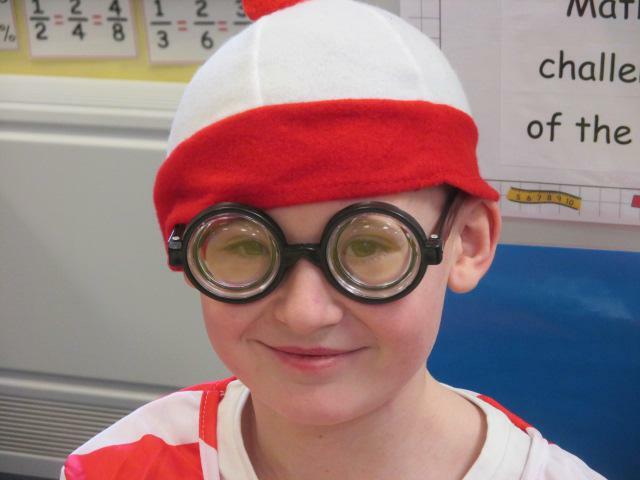 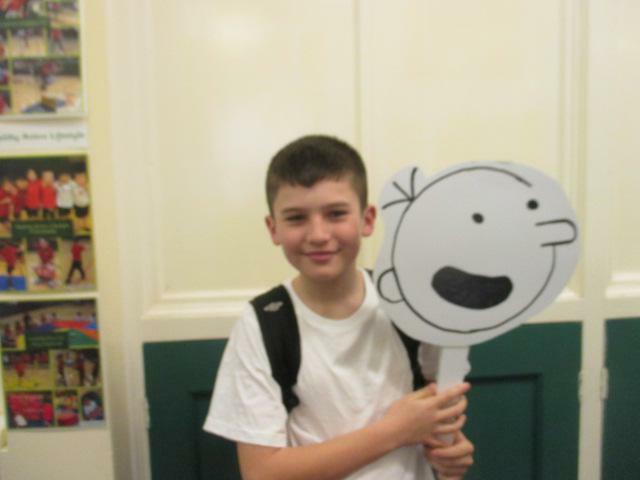 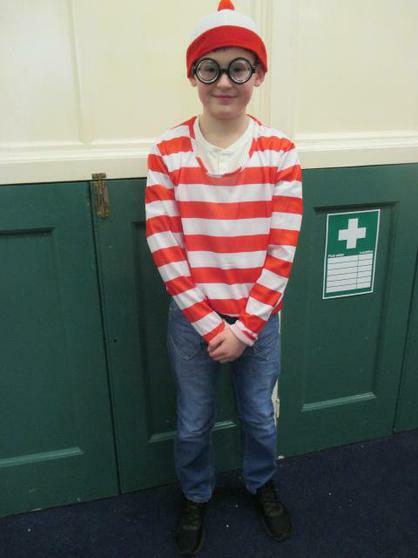 Year 6 celebrate World Book Day. 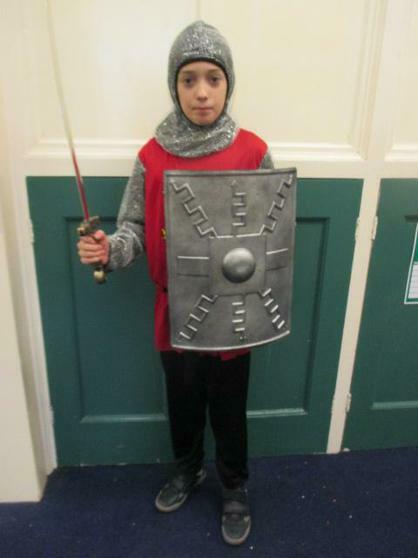 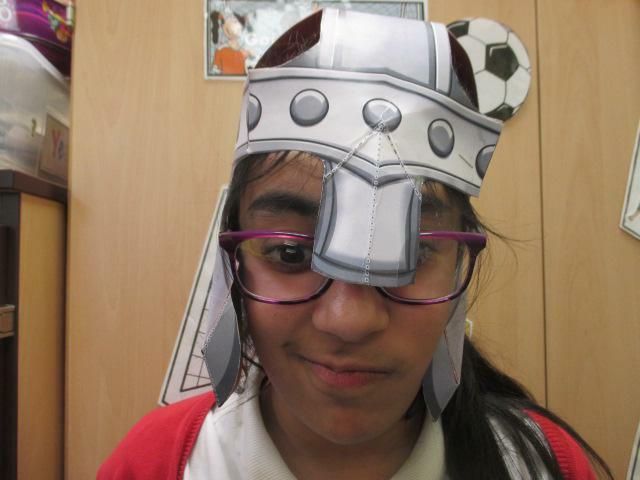 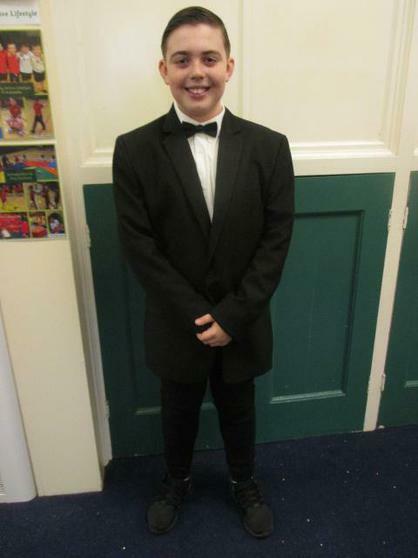 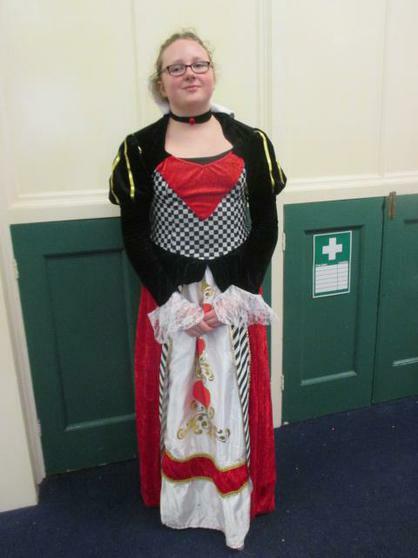 We had a 'Mad Hatter', James Bond, The Queen of Hearts, a Cheshire cat, a cat in a hat, a wimpy kid, a host of Harry Potters,'Wally', Verruca Salt, Sir Tristan (a little known Knight of the round table! 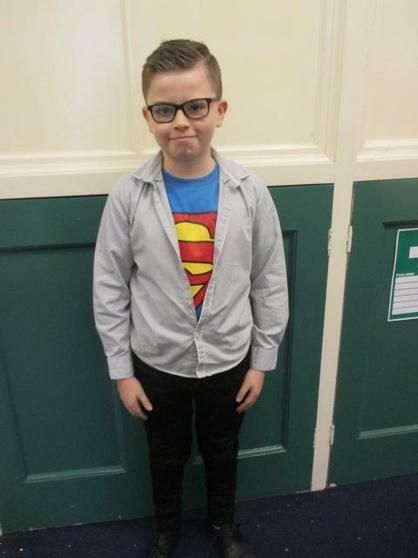 ), Superman and many more. 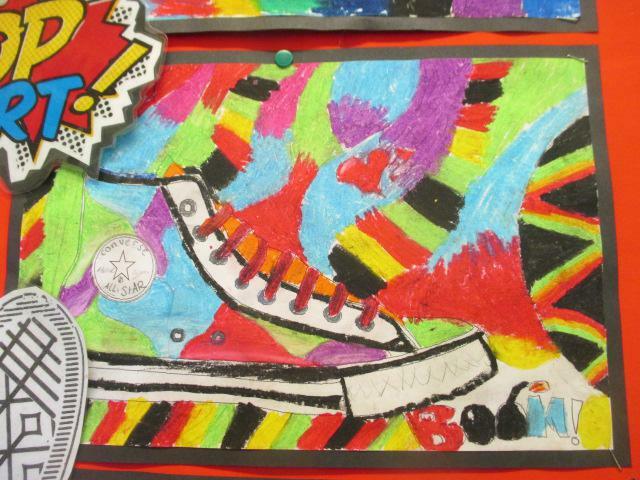 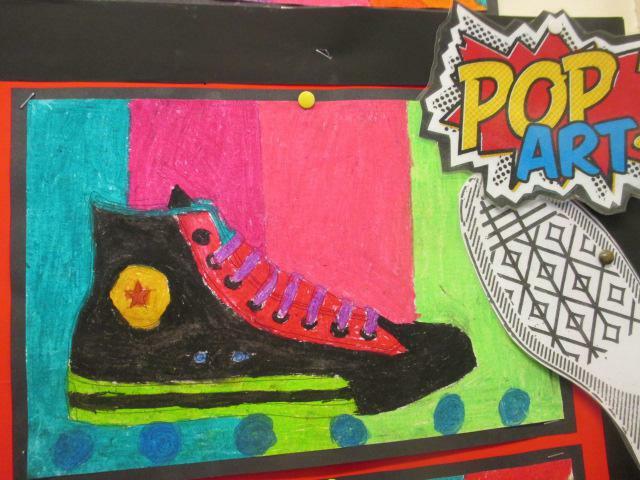 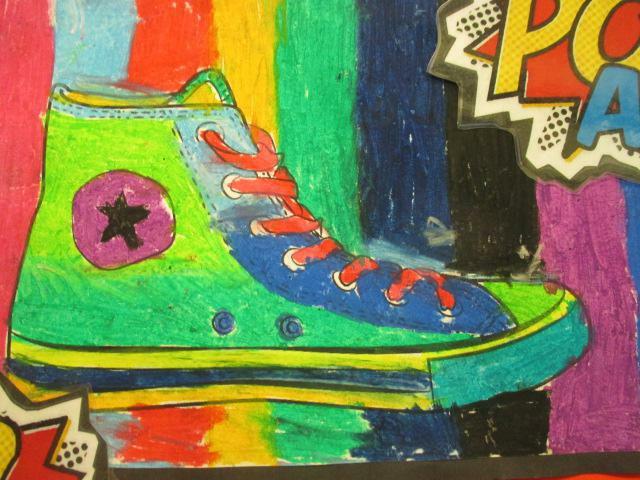 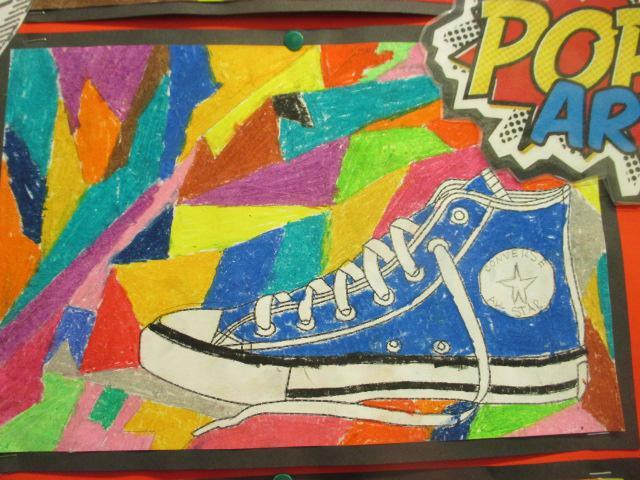 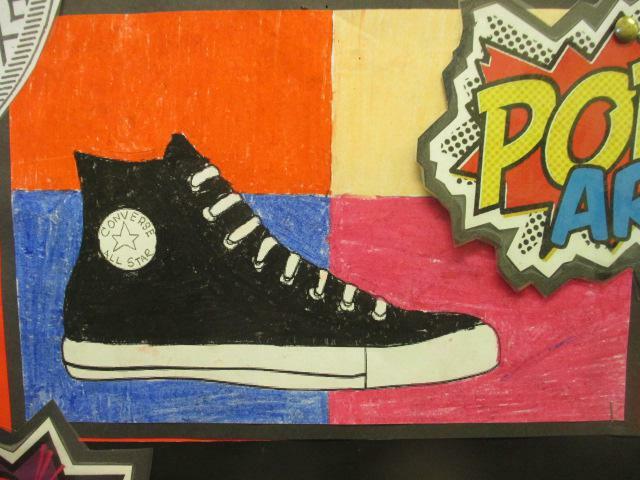 During art week we looked at pop artists use of iconic images. 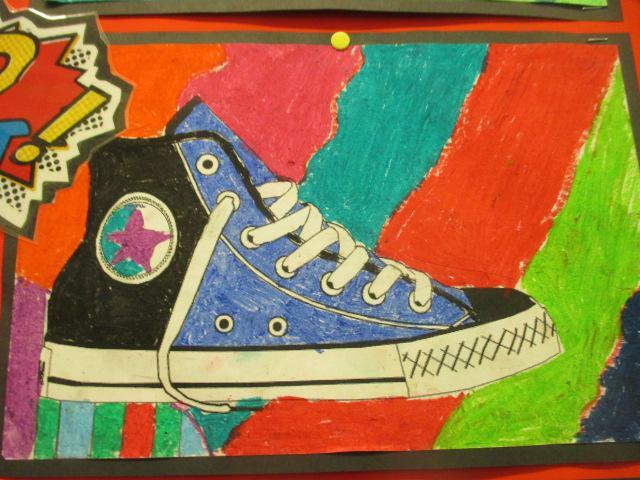 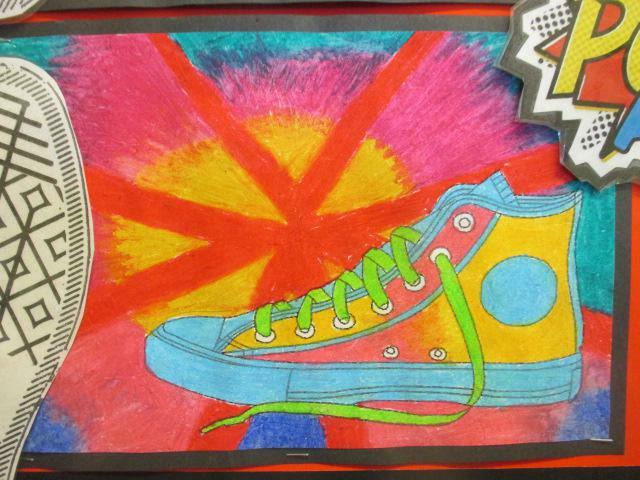 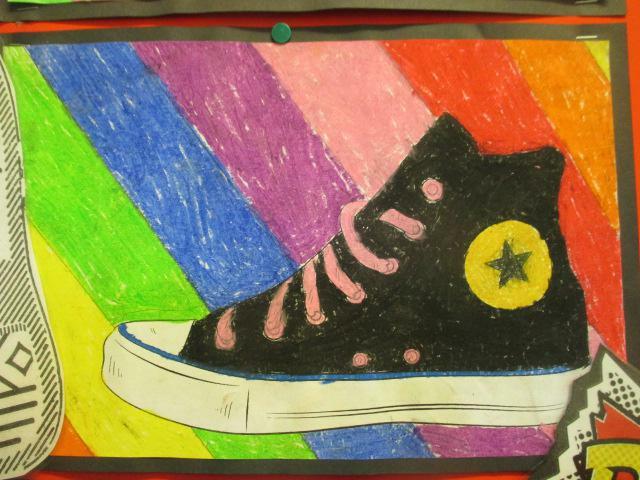 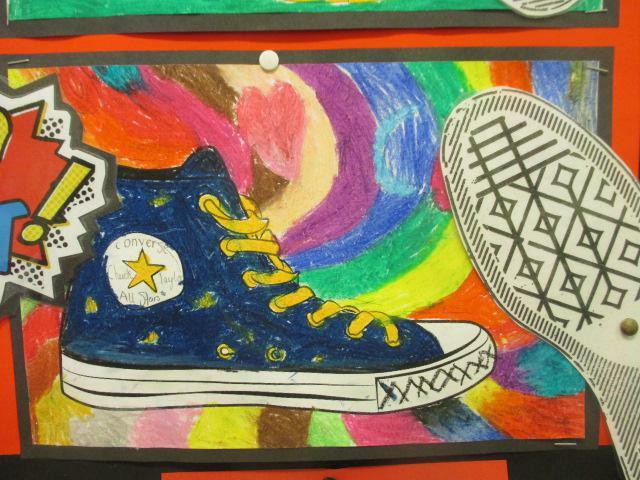 We chose a Converse 'All Star' high top trainer. 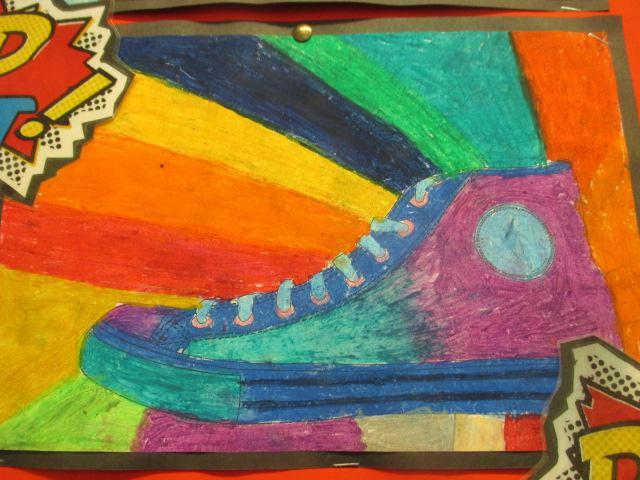 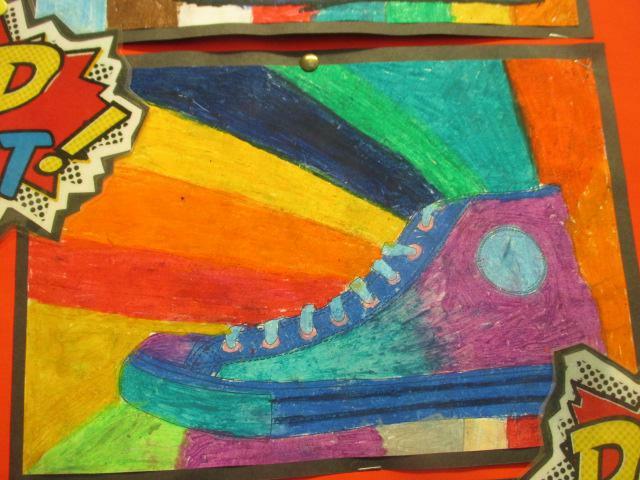 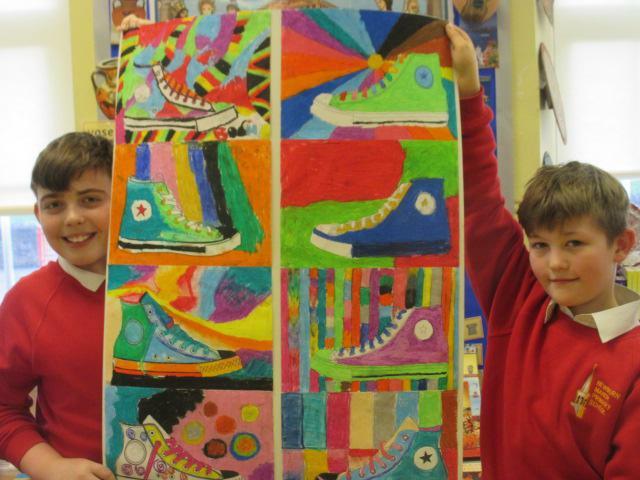 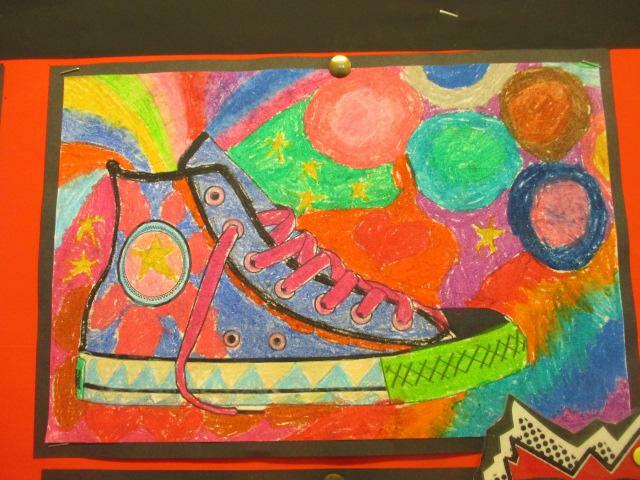 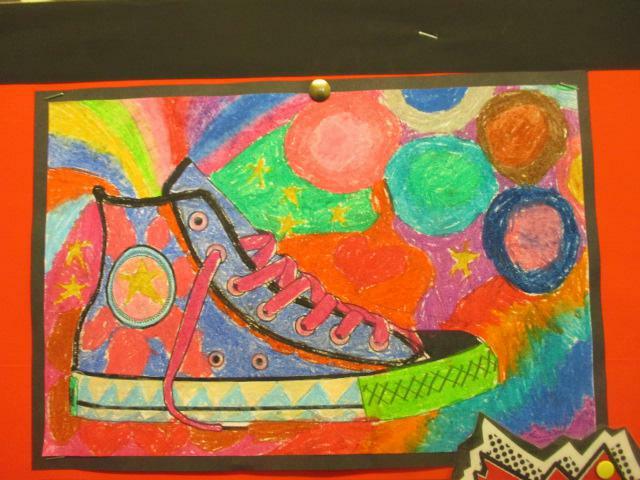 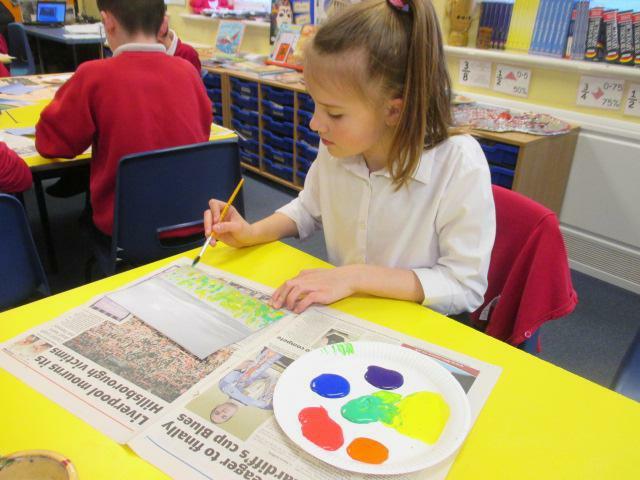 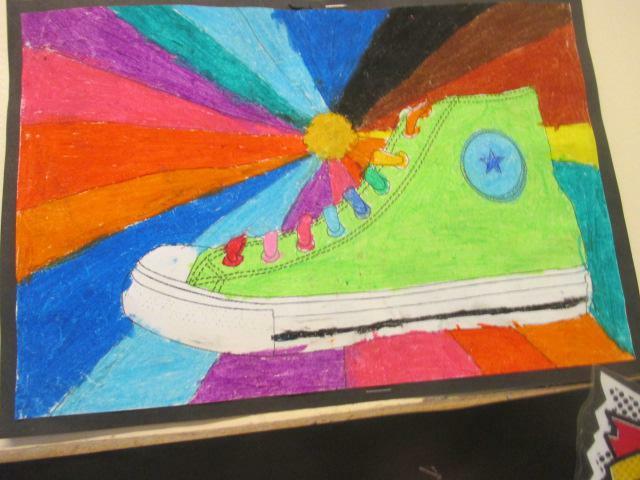 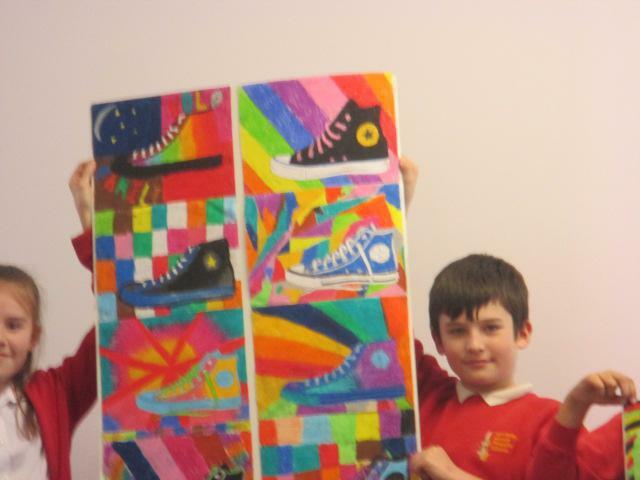 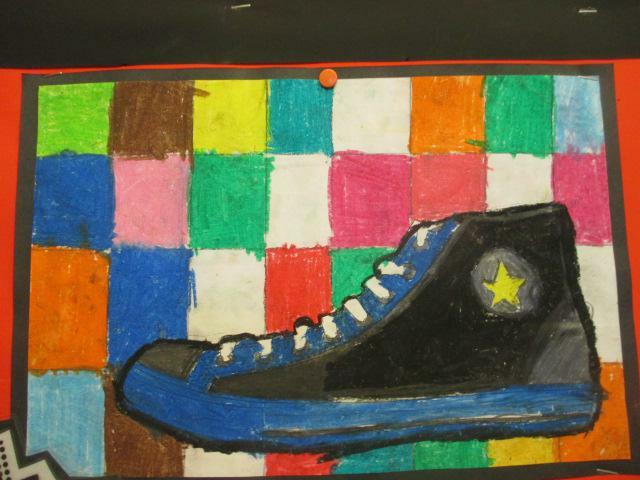 We enjoyed using oil pastels in bright, bold and vivid colours. 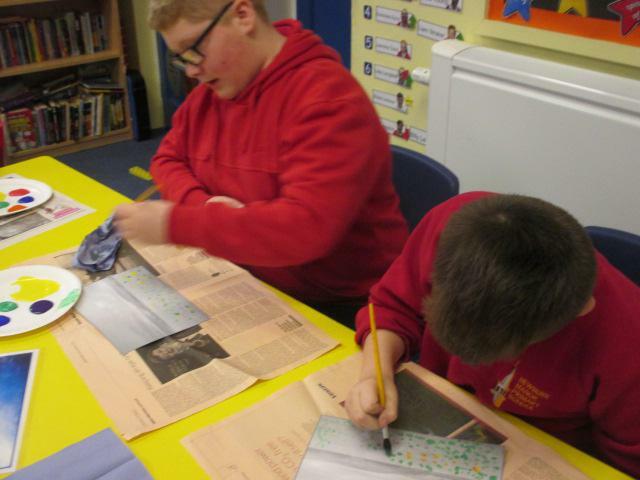 Ratio and proportion maths investigation. 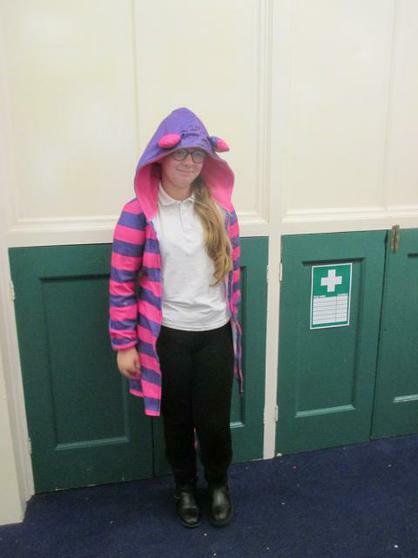 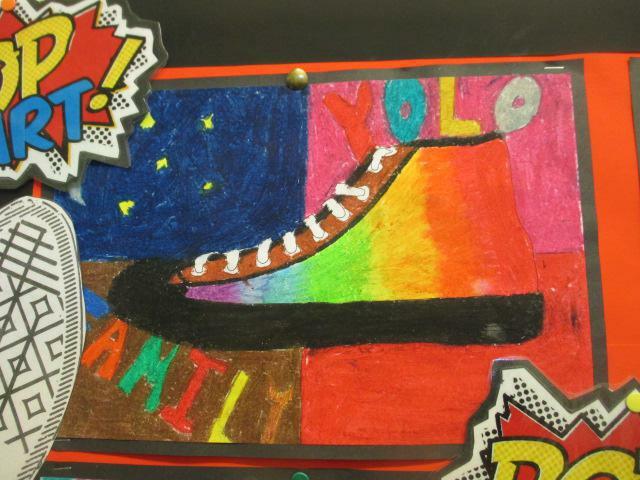 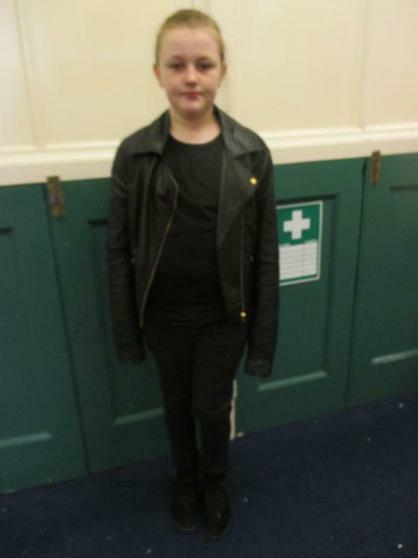 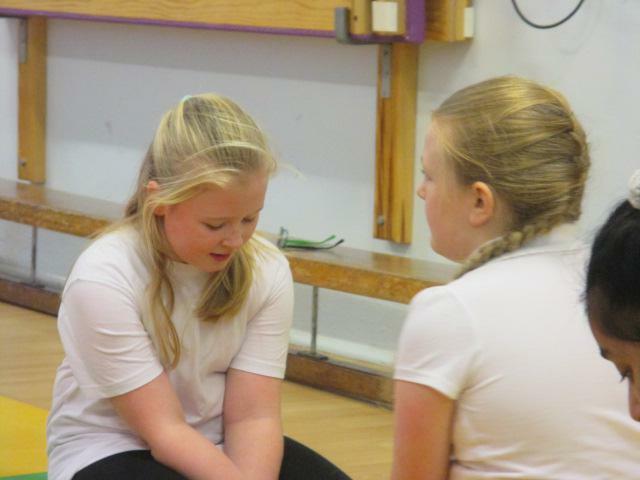 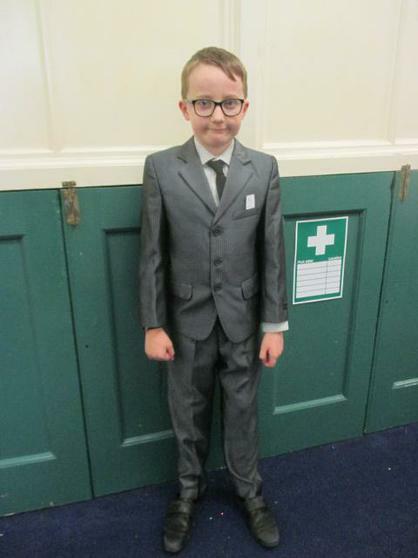 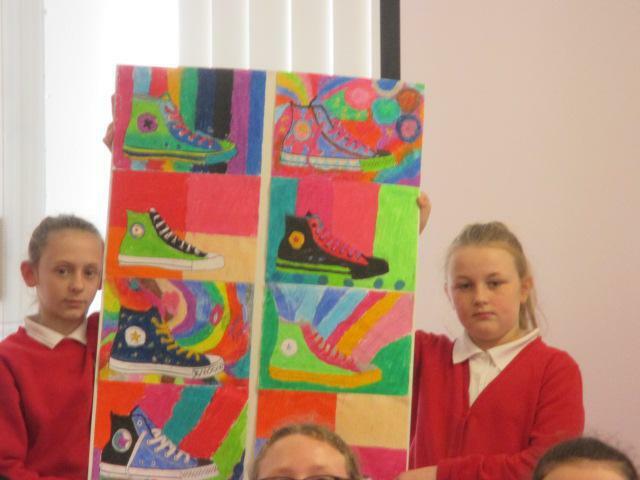 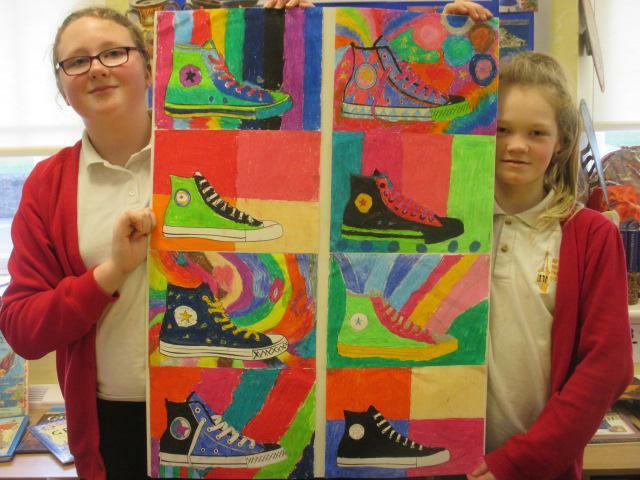 year 6 have been developing products and they need too do some market research, would you help. 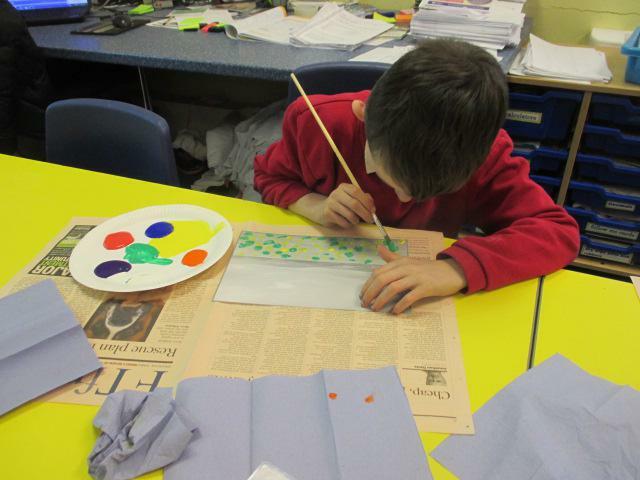 Please take a little while to answer theses surveys, who knows it could be your ideas that get made! 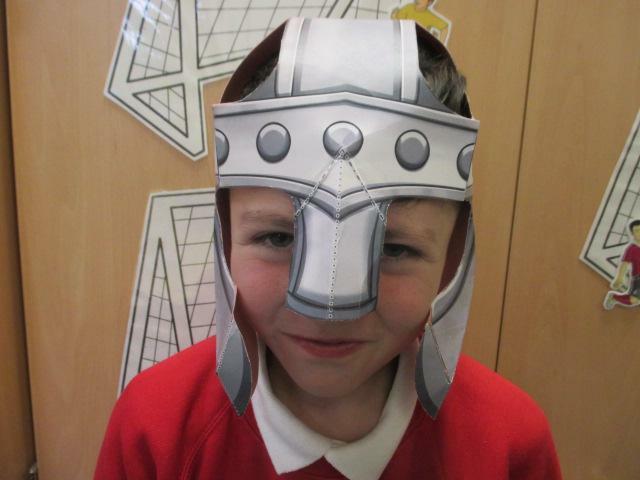 Here come the Vikings! 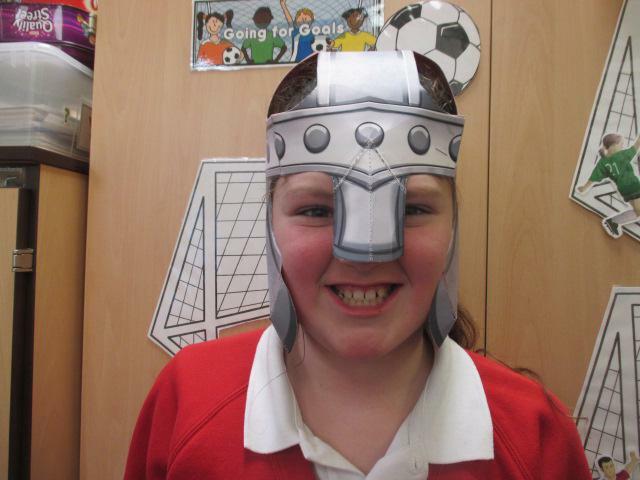 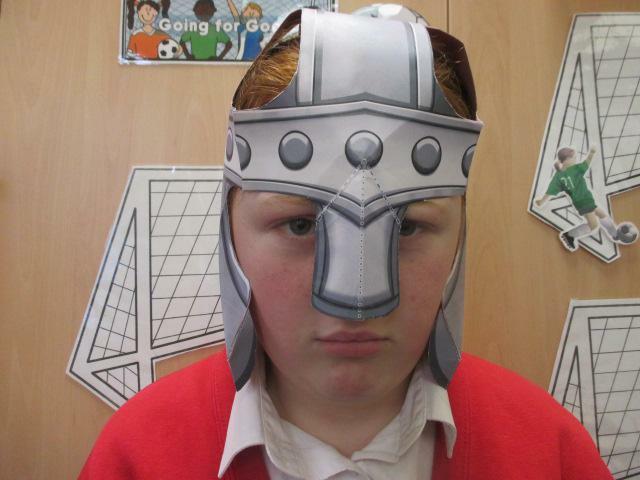 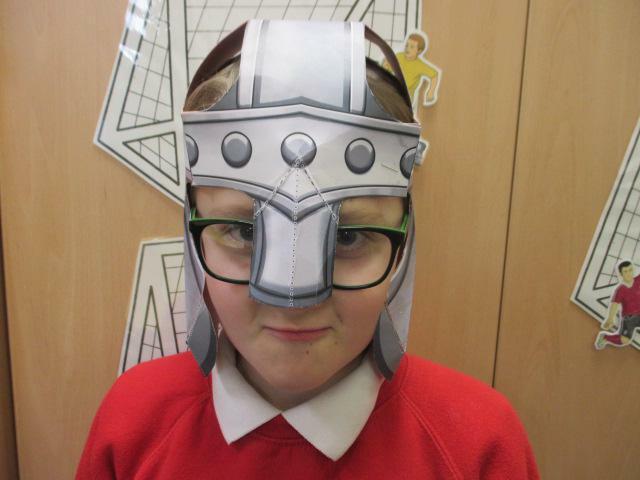 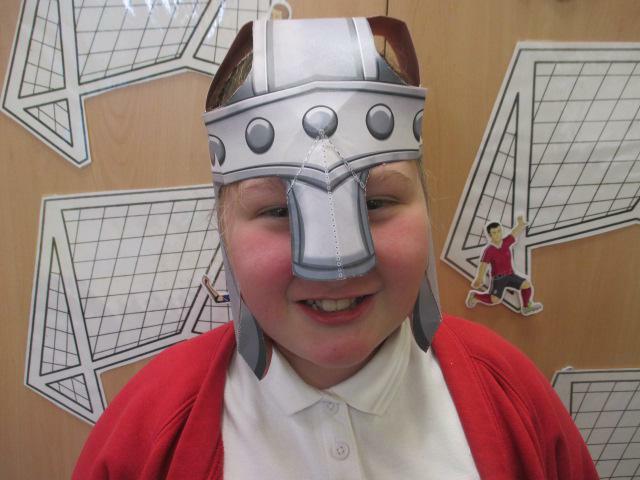 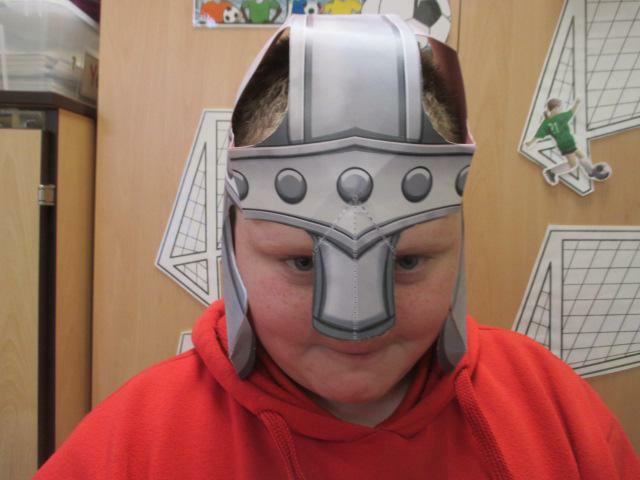 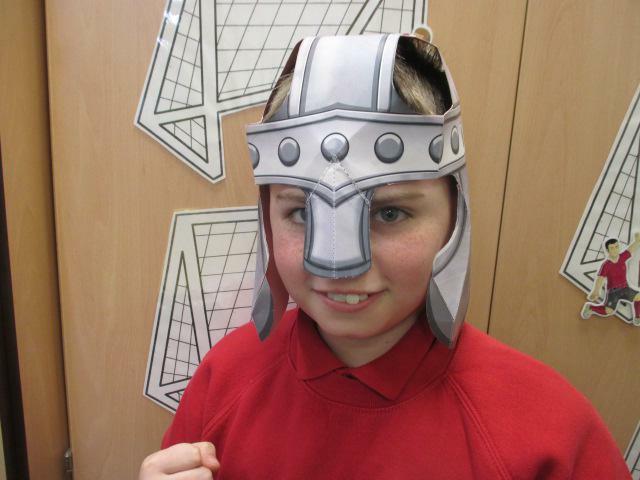 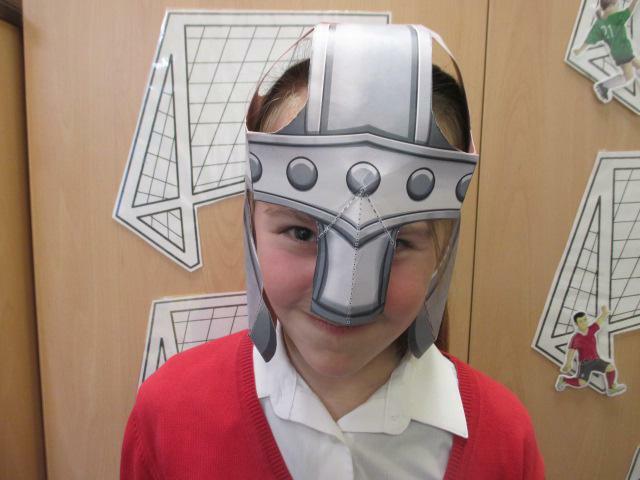 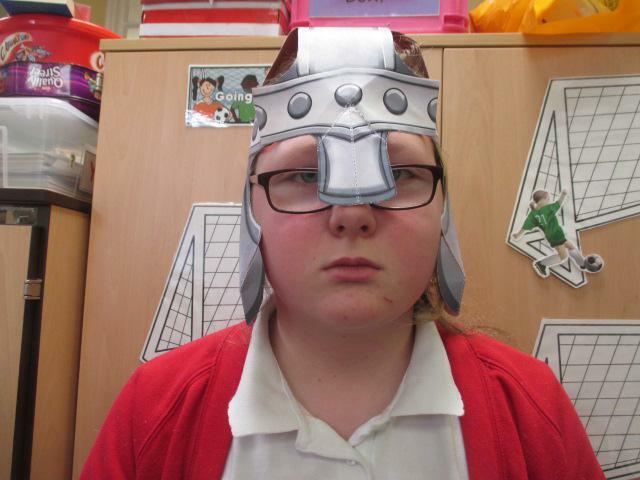 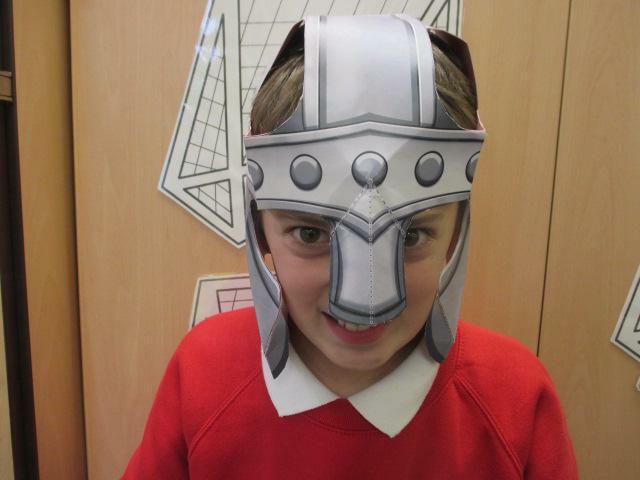 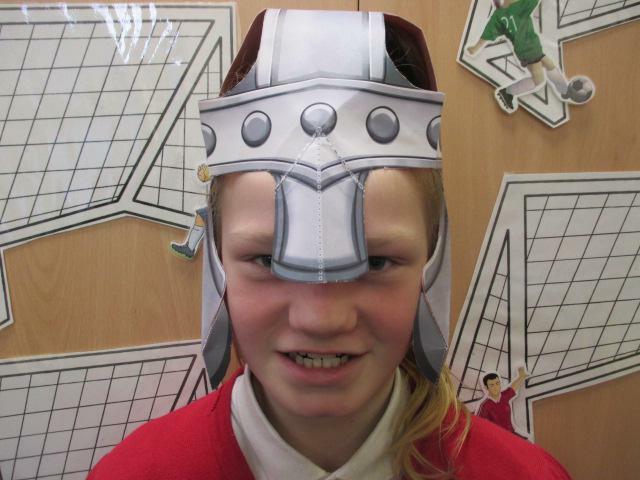 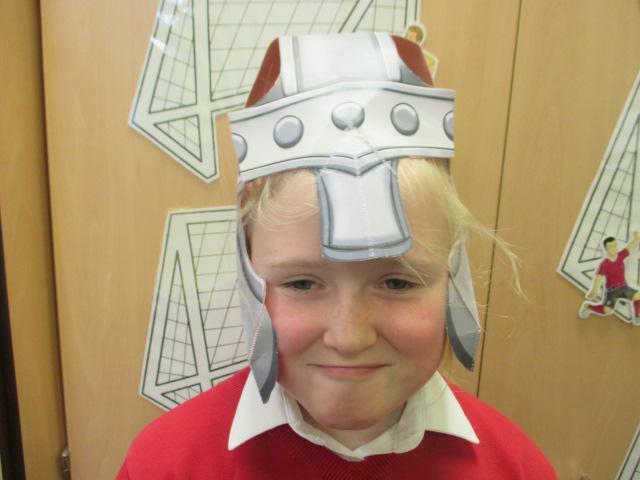 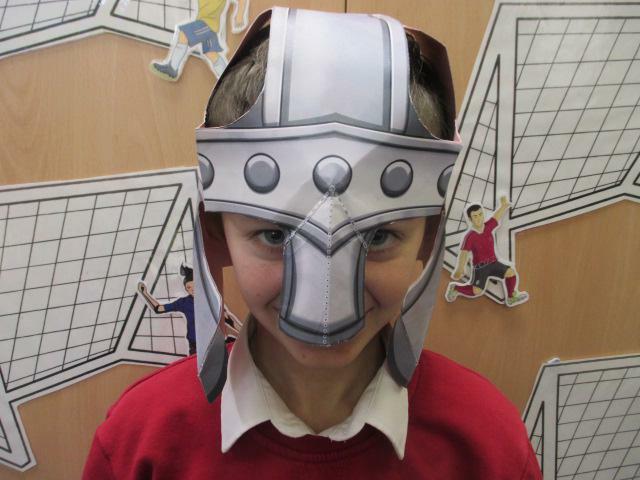 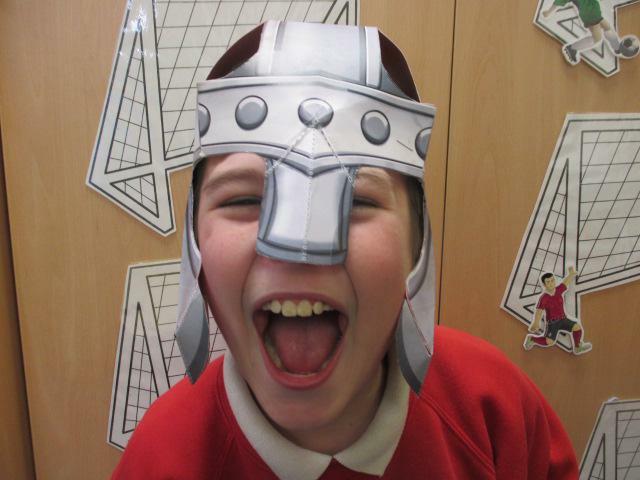 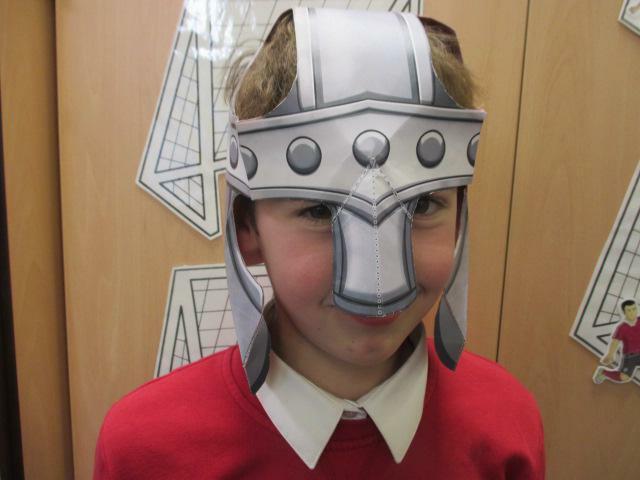 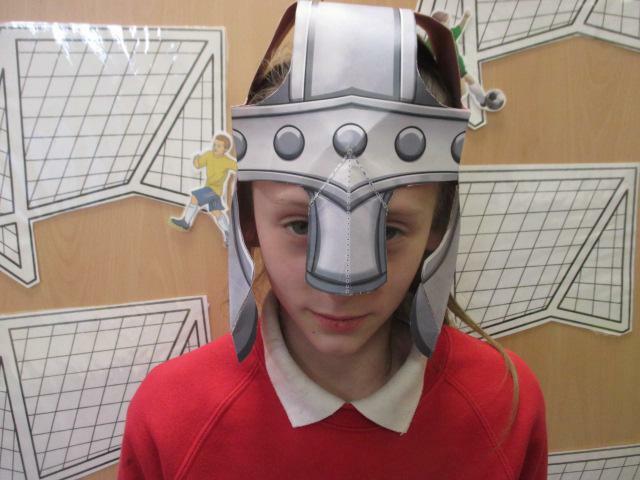 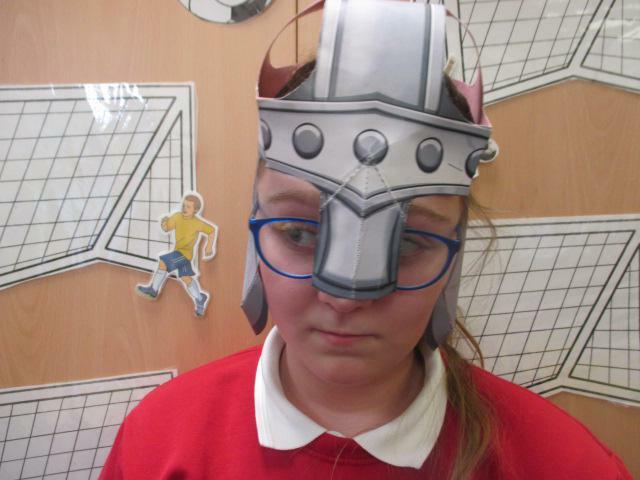 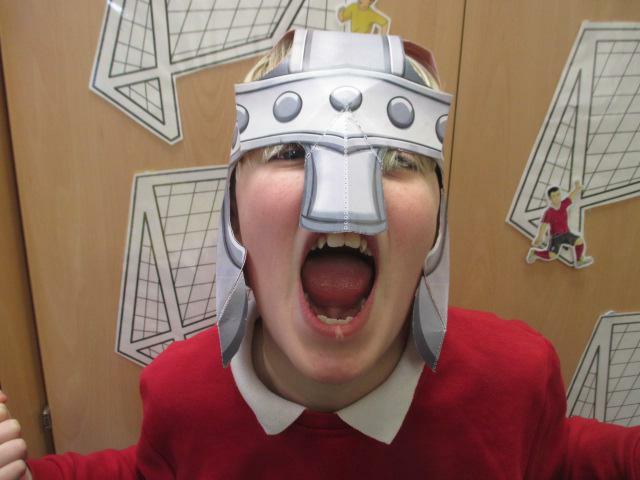 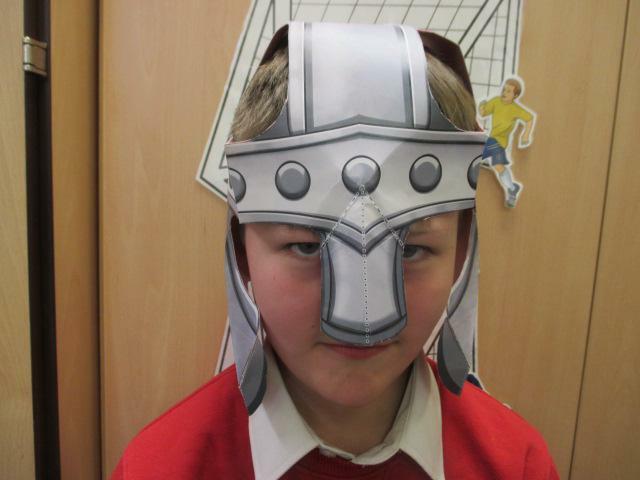 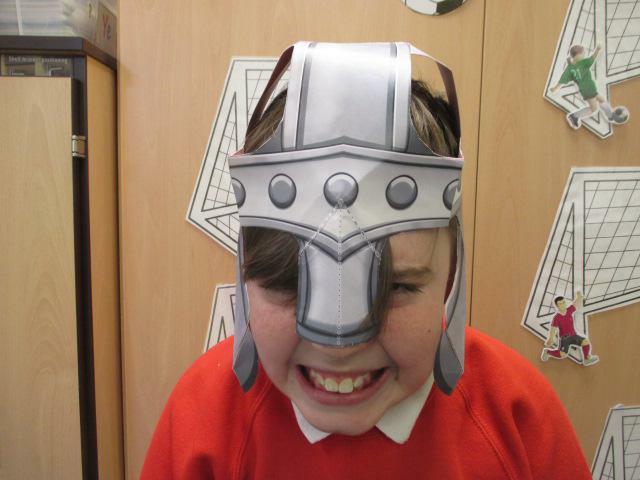 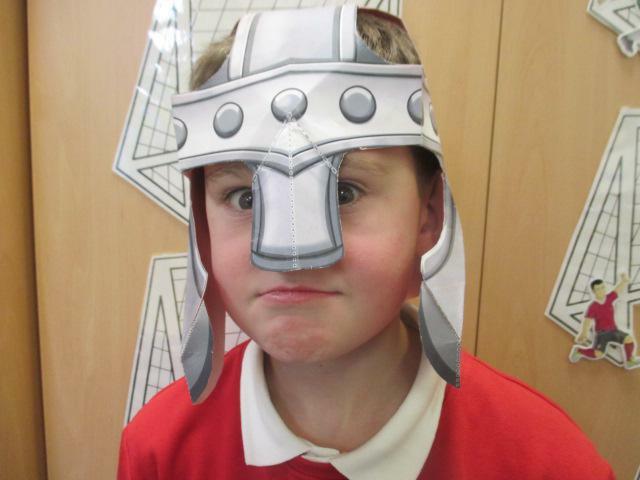 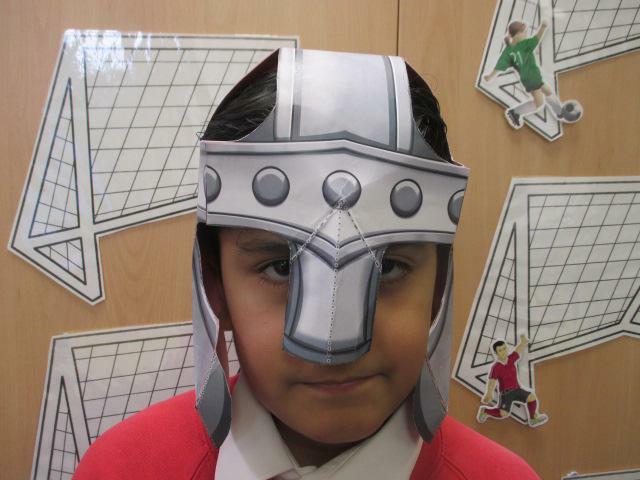 Our history topic this term will look at whether the Vikings were really vicious. 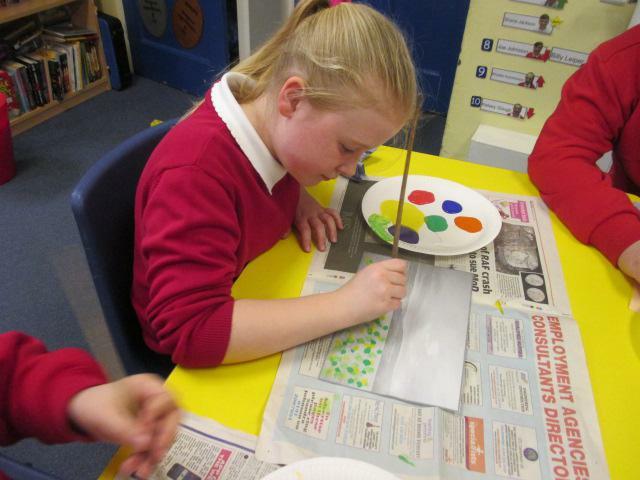 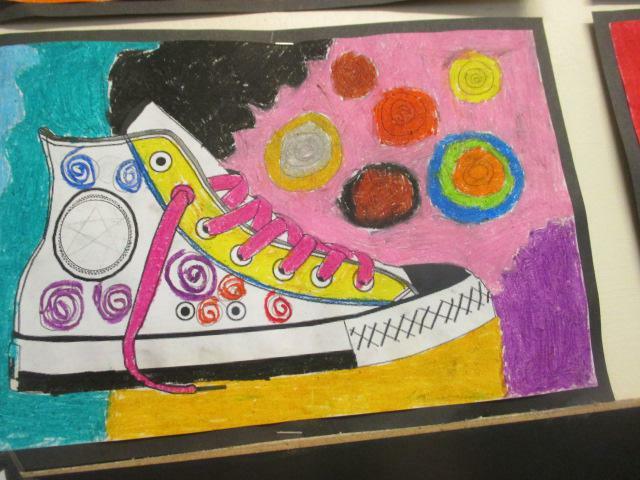 We used oil pastels to produce these 'circle art' pictures. 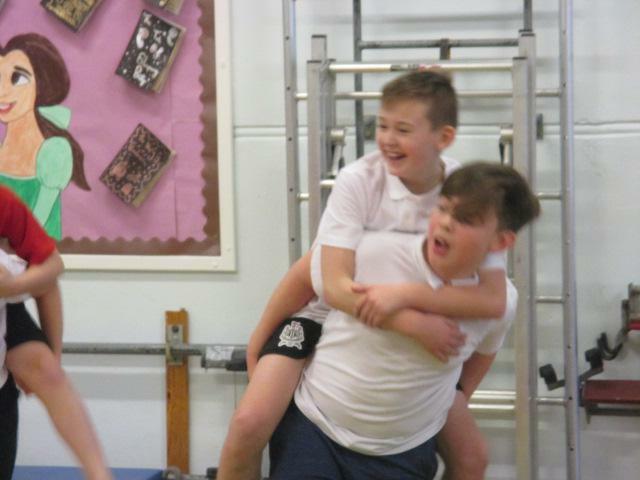 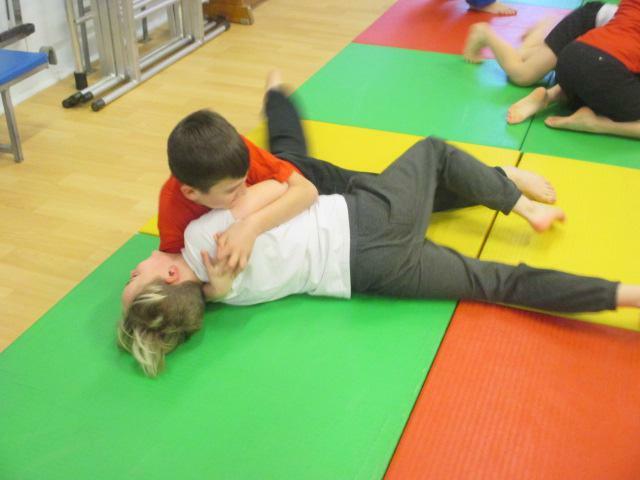 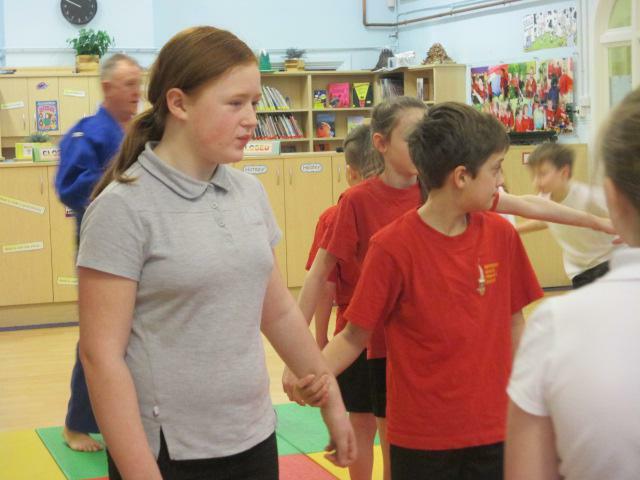 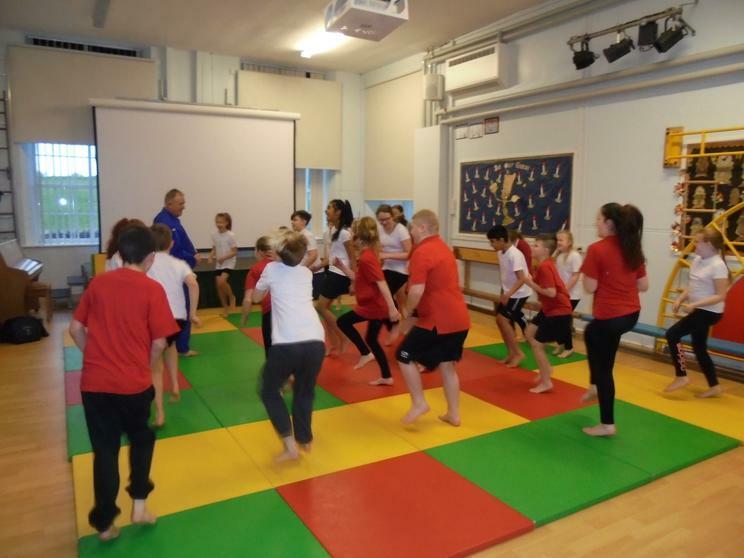 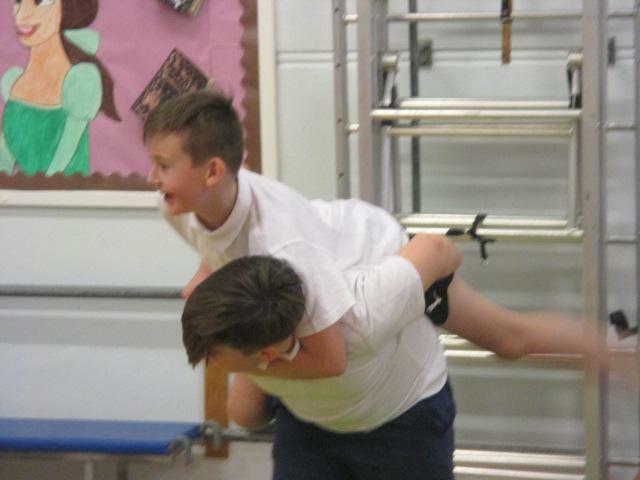 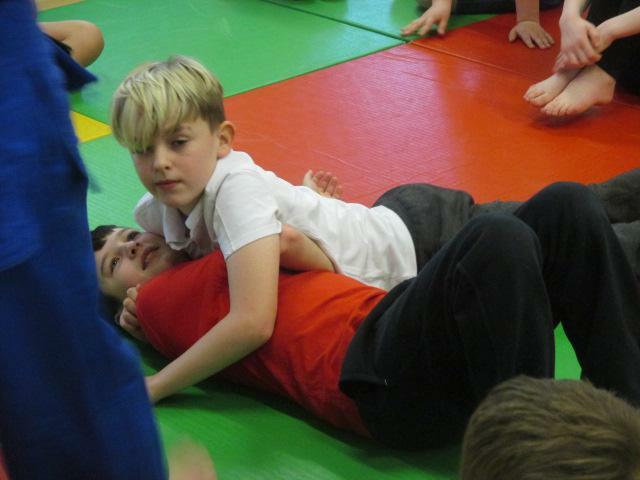 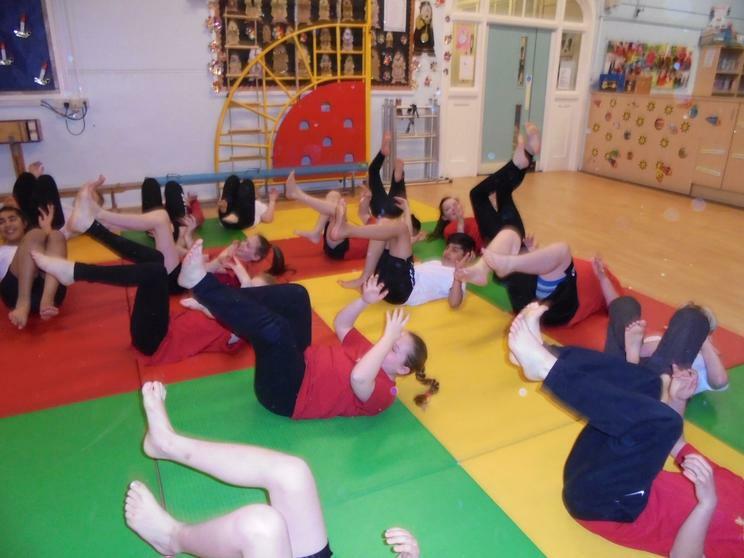 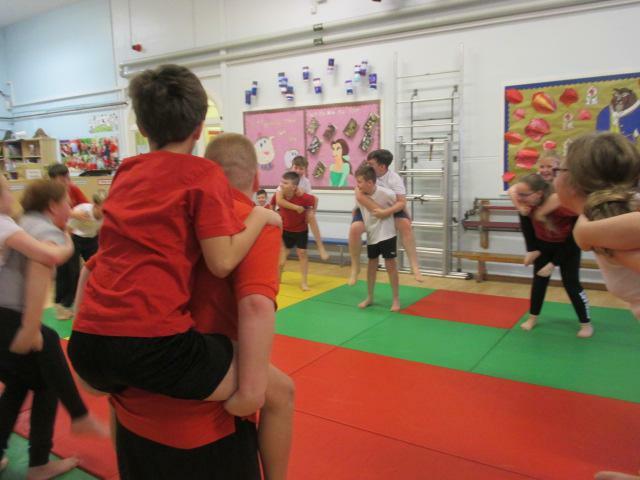 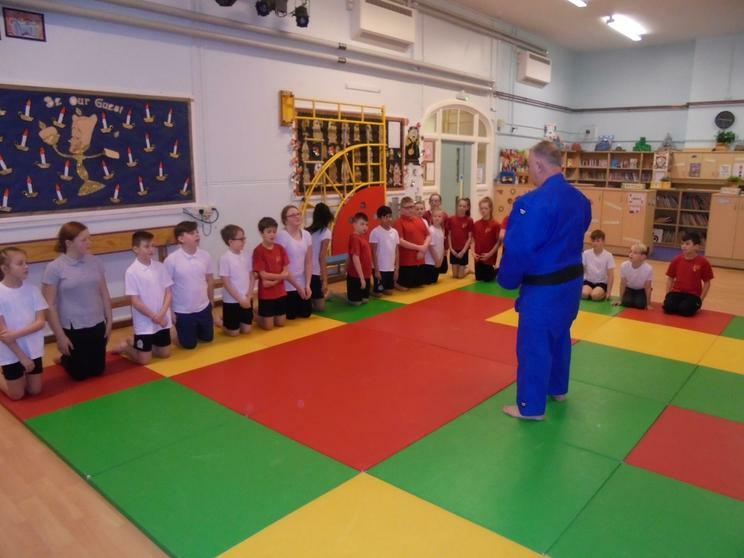 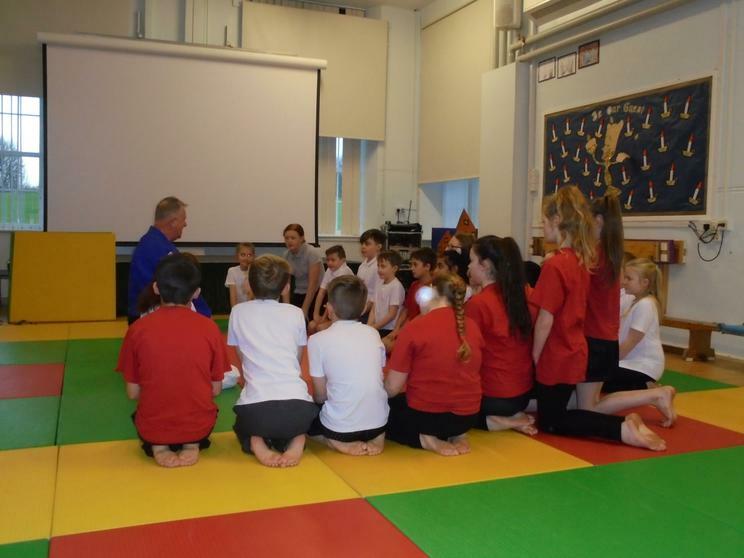 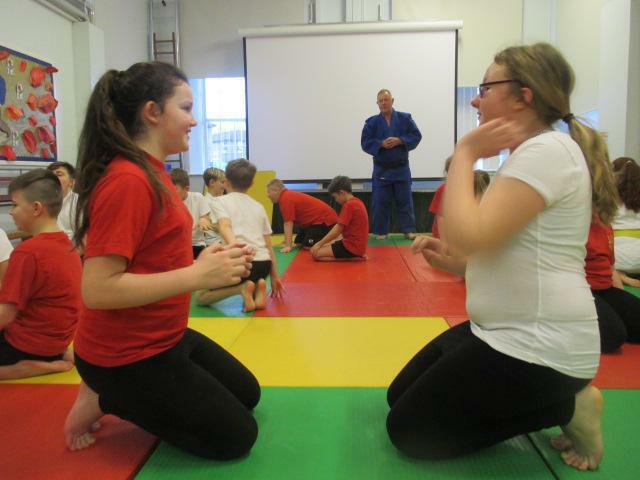 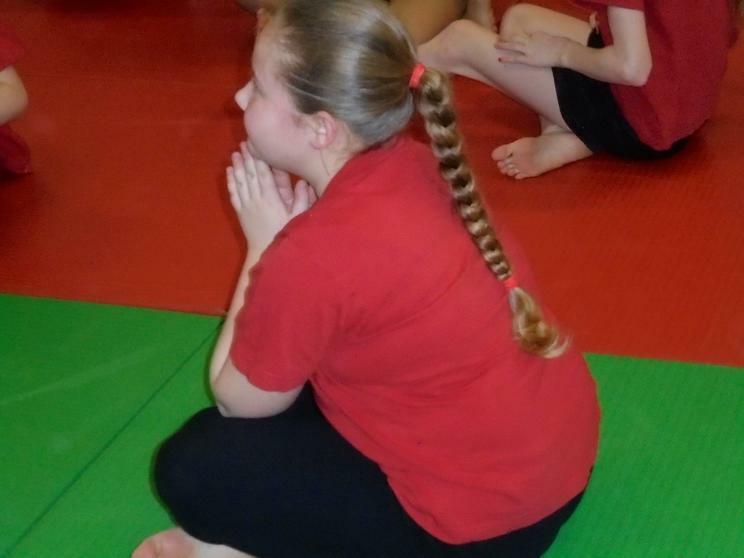 The judo session with Joe was great fun.